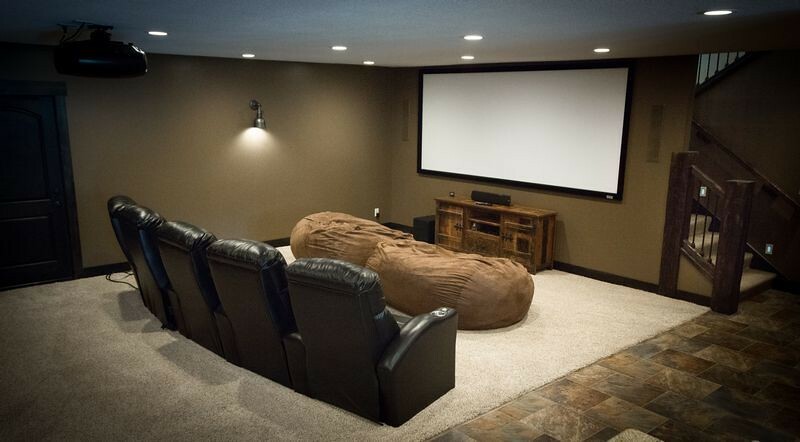 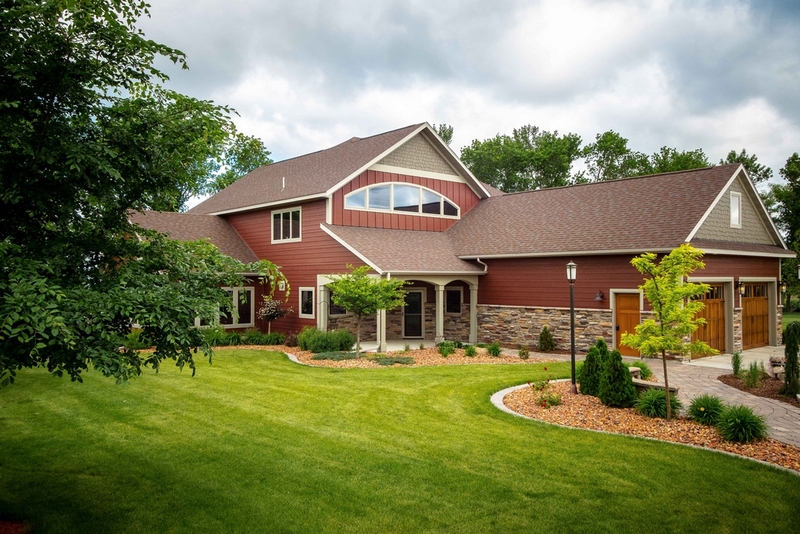 This beautiful 3,792 sq ft home features an oversized three stall garage, six bedrooms, four full baths, two half baths, a gourmet kitchen, a custom theater, excercise room, grand family room, main floor laundry, and a bonus loft above the garage. 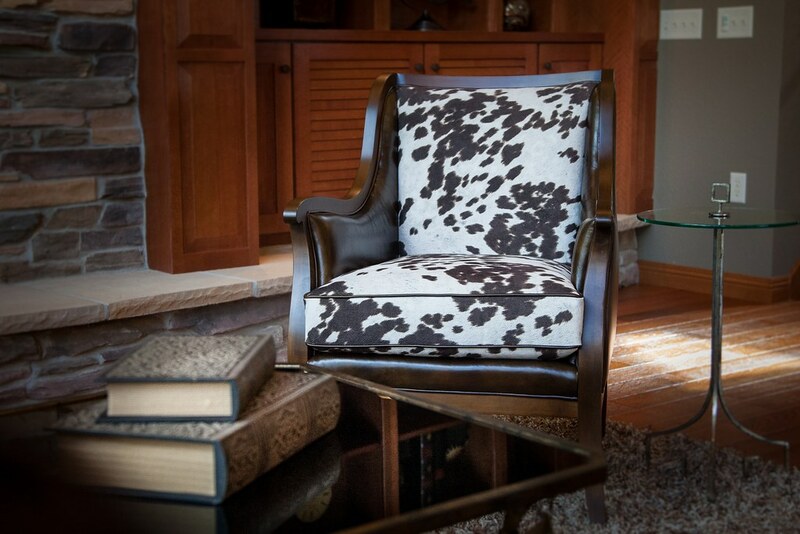 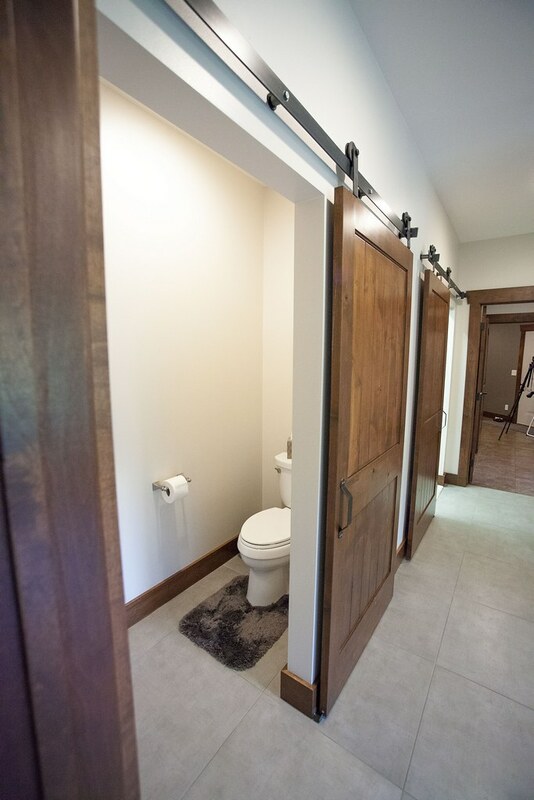 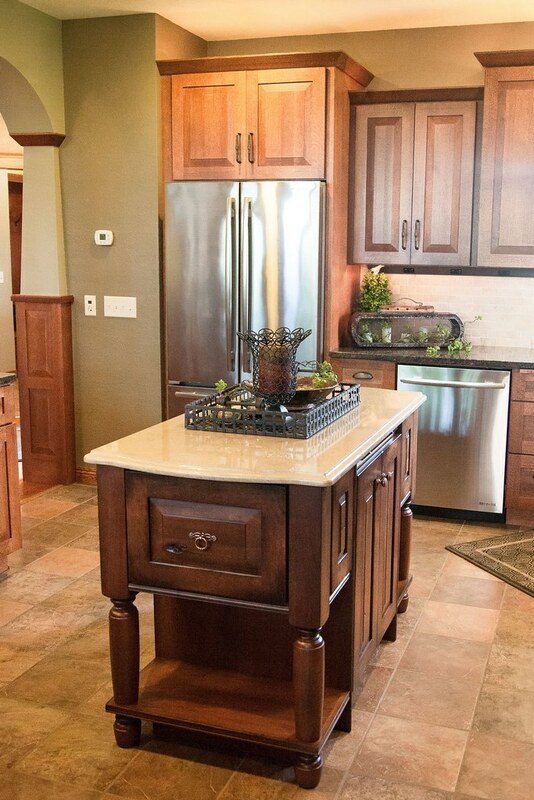 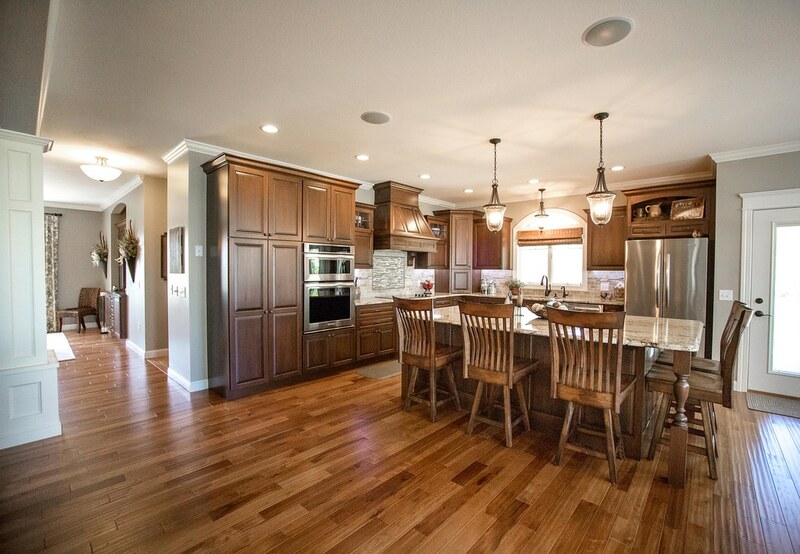 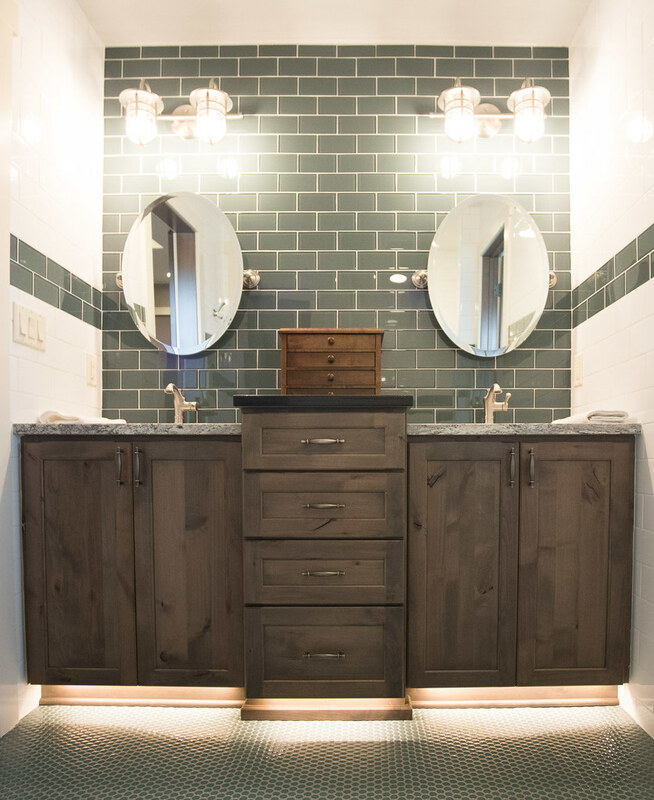 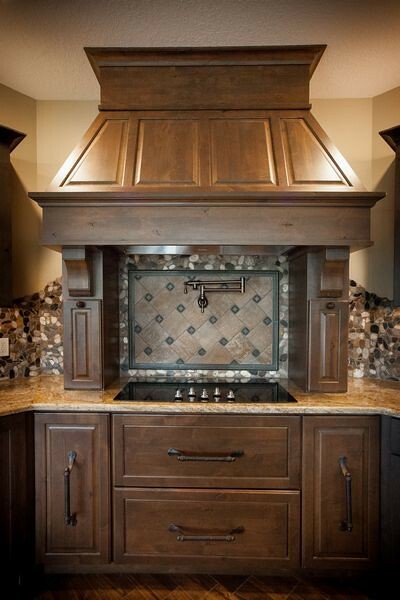 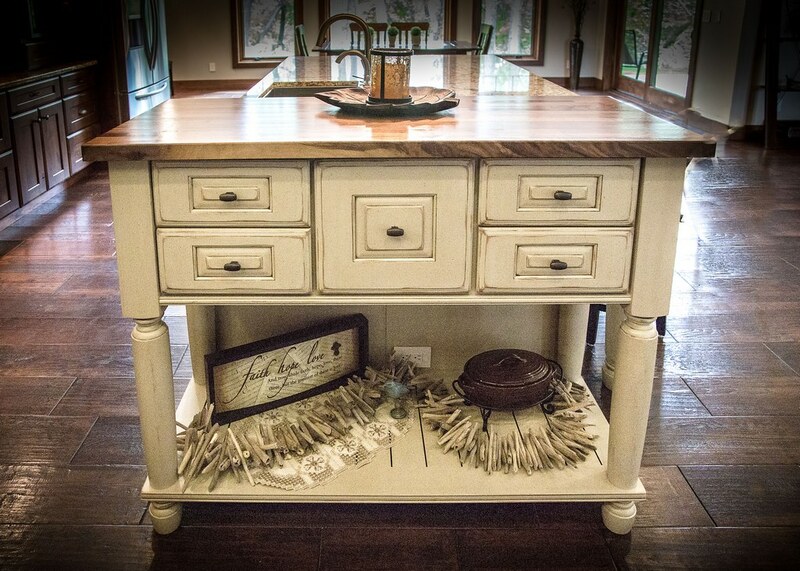 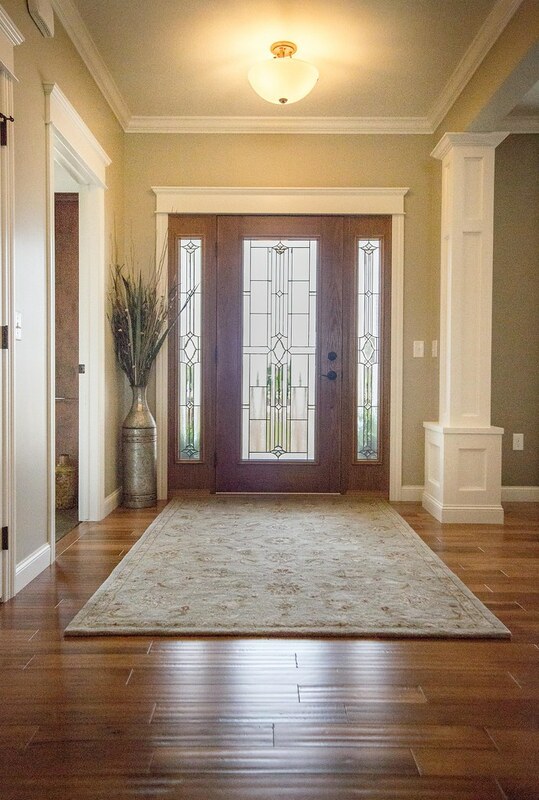 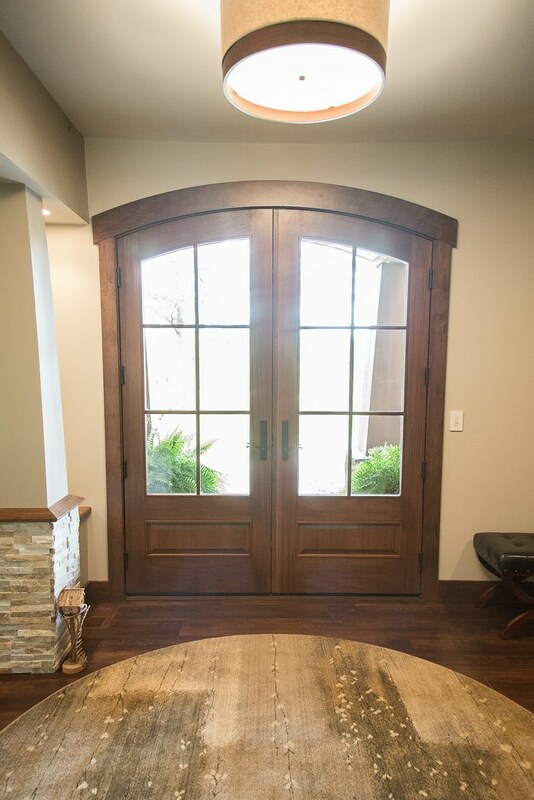 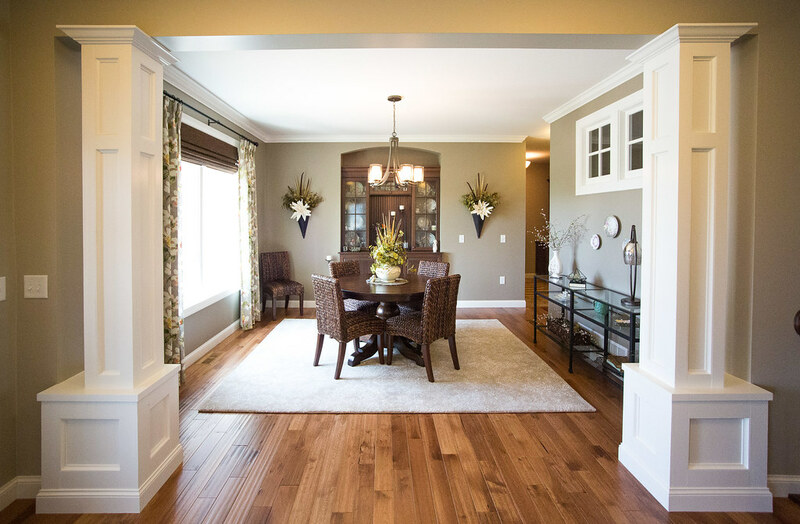 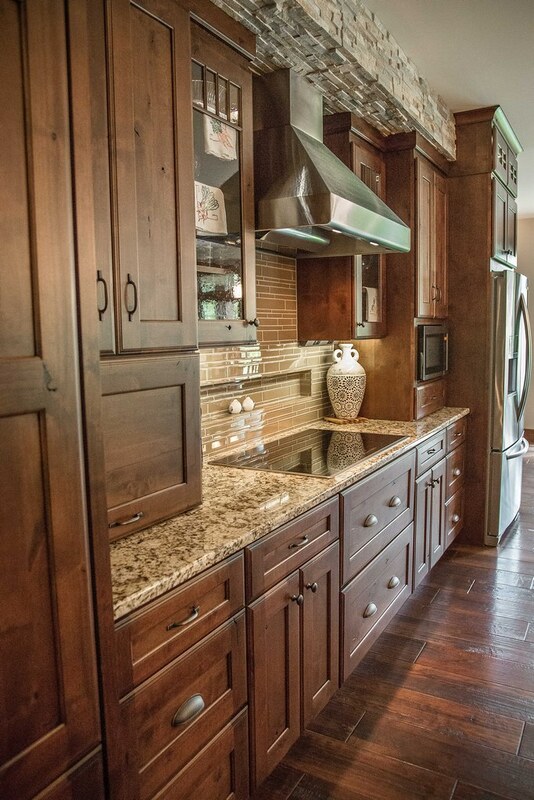 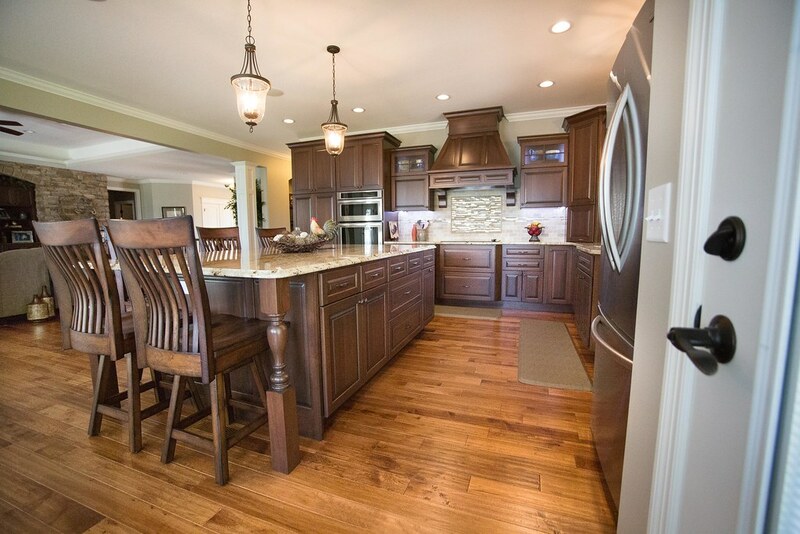 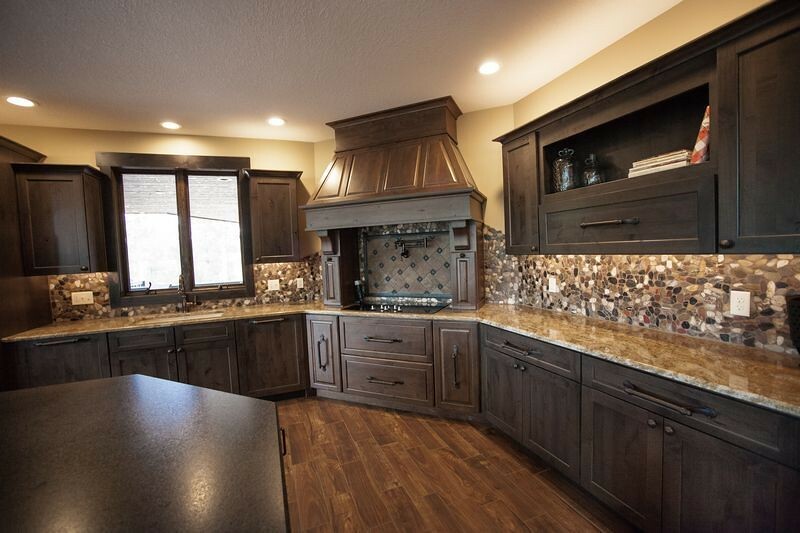 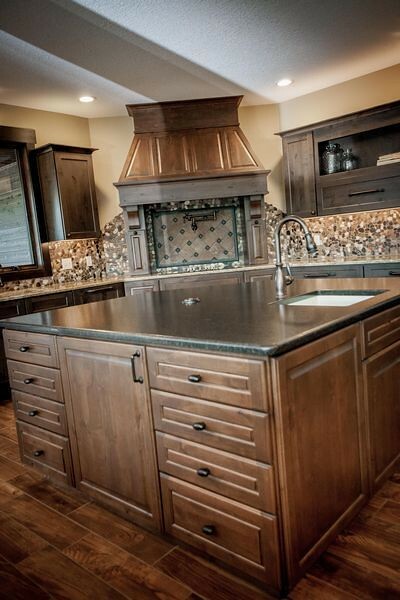 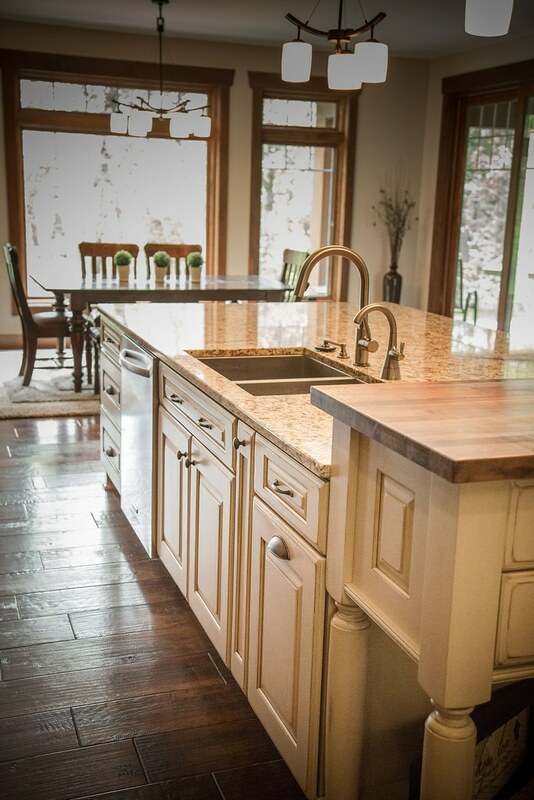 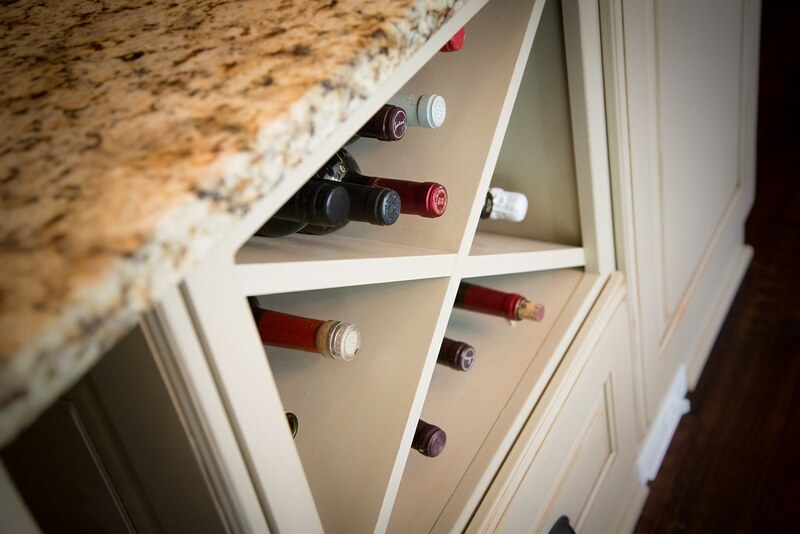 Finishes include solid maple interior doors and trim, custom knotty alder and maple cabinetry by Dura Supreme. 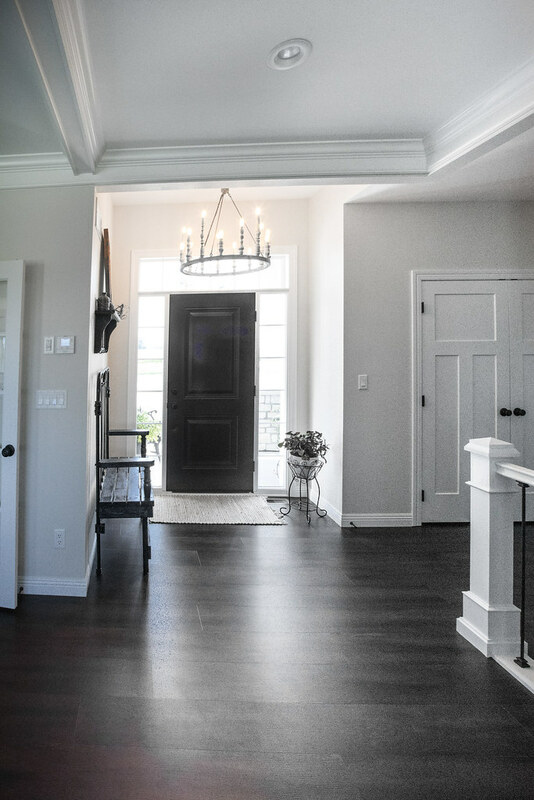 Custom designed tray ceilings, interior columns, custom staircase, and grilling patio all designed in house with Nordaas' design team. 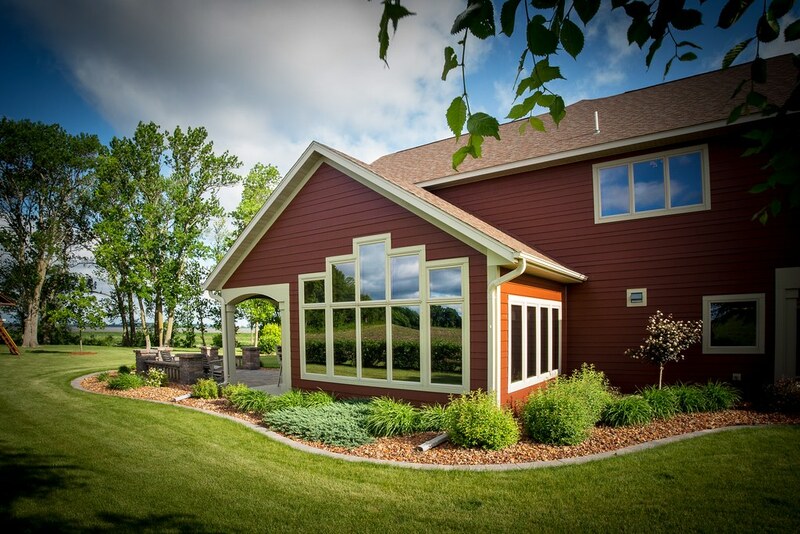 Andersen A Series double hung windows. 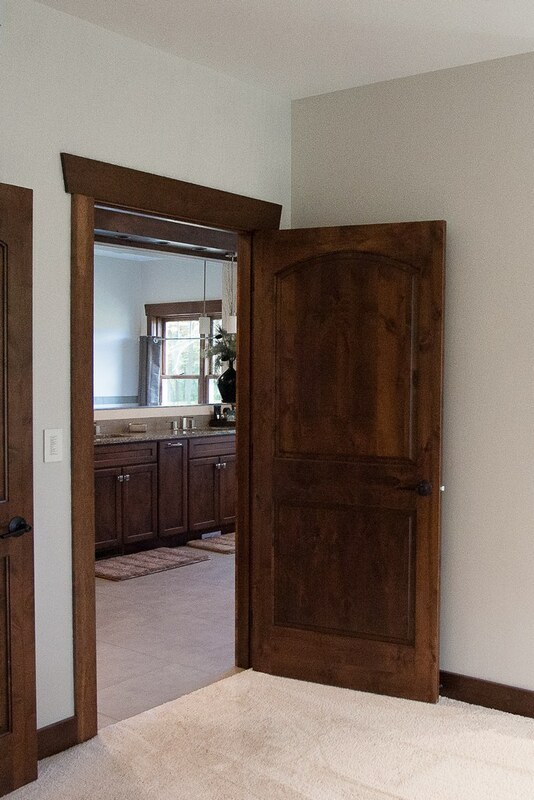 Solid maple interior trim and doors. 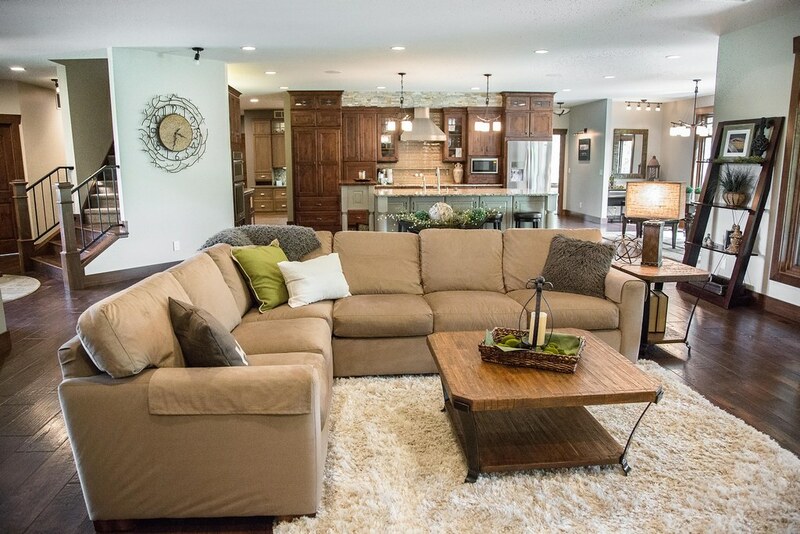 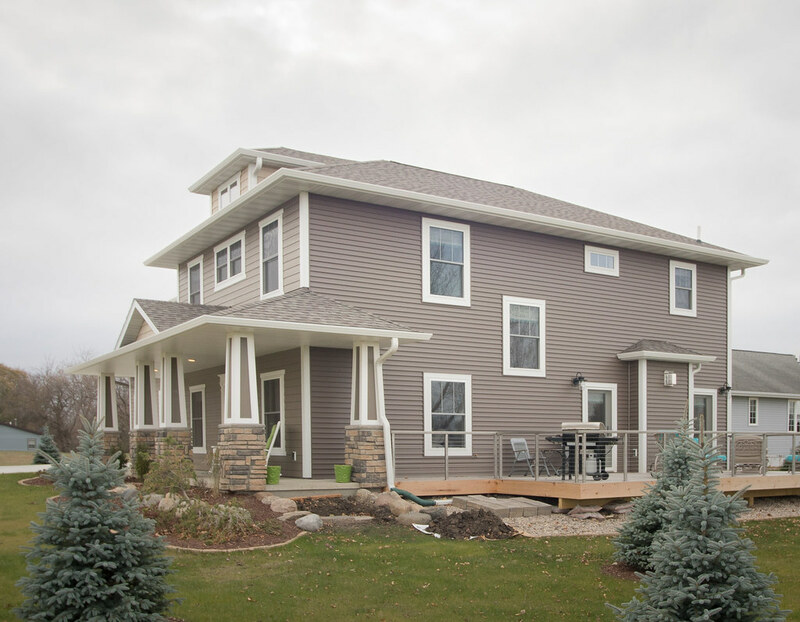 Nordaas' own model home is a stunning two story slab on grade home. 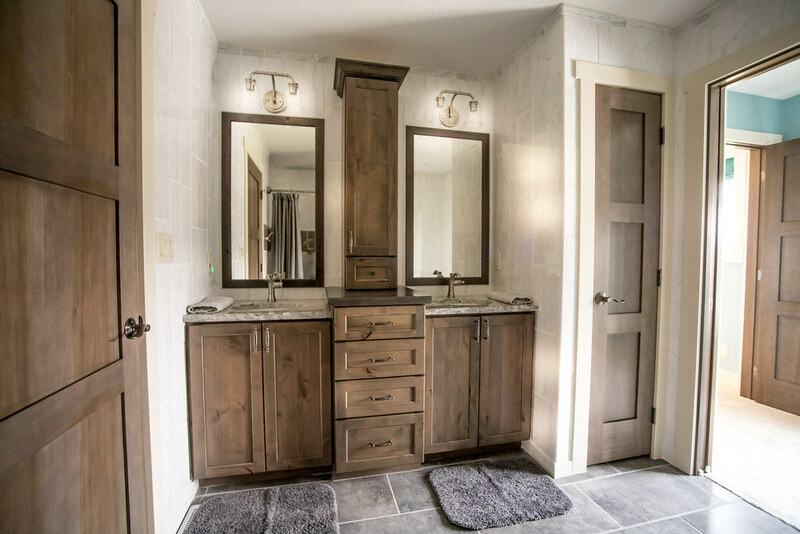 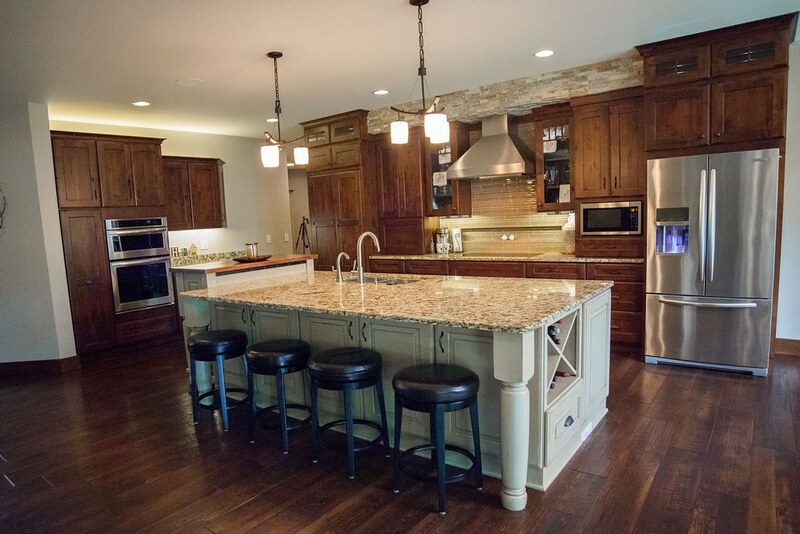 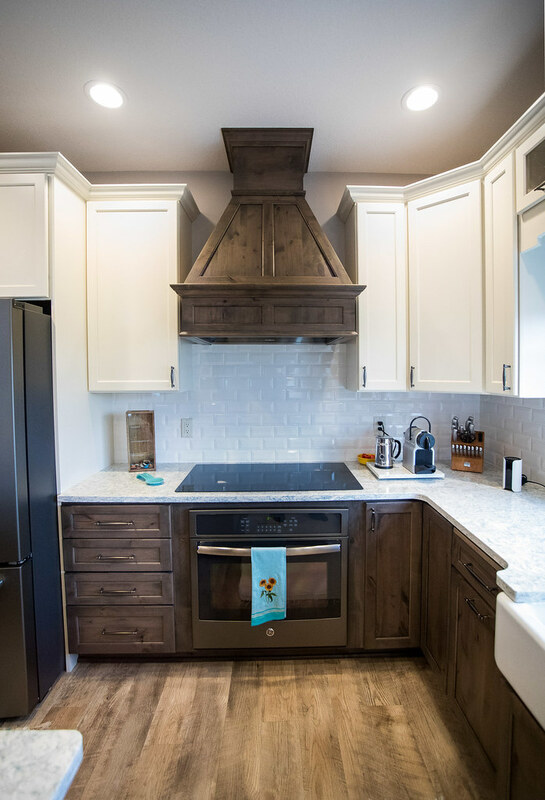 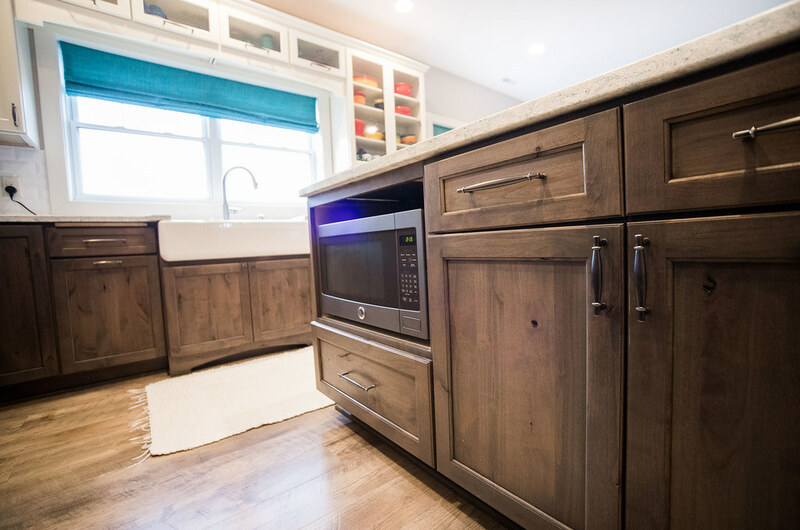 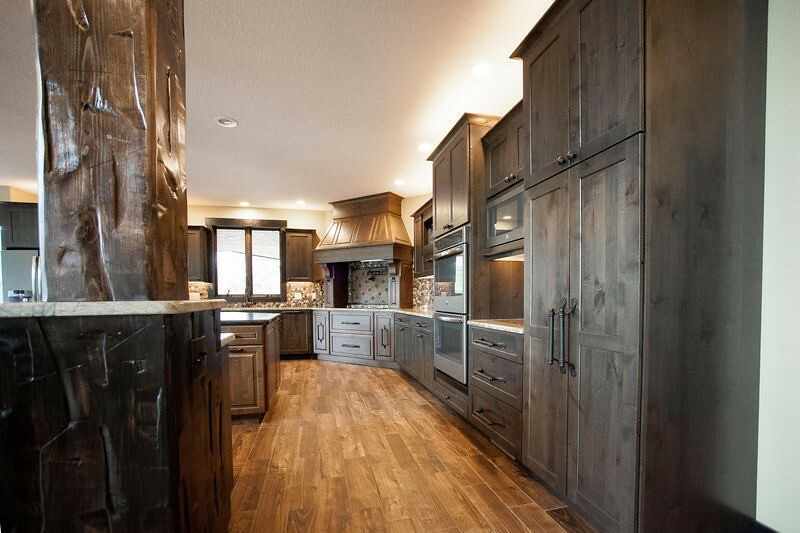 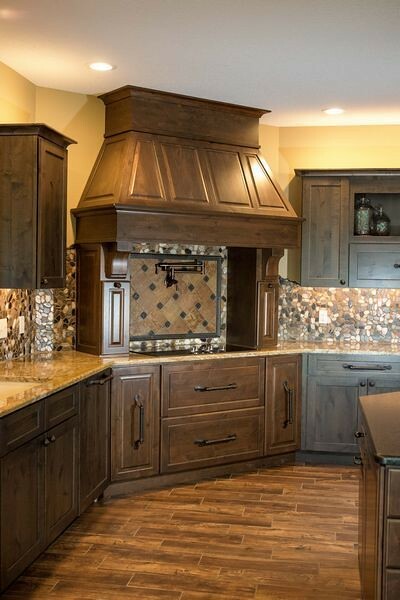 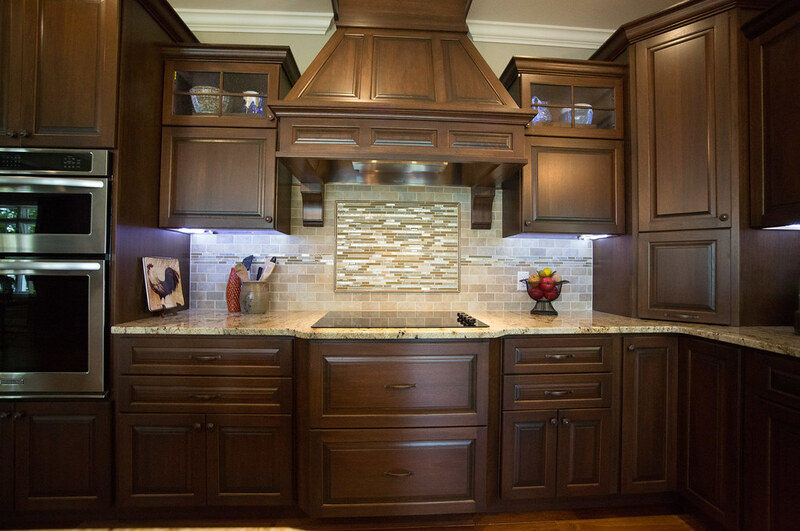 This home showcases our custom cabinets by Dura Supreme throughout with custom built ins and our very popular quarter sawn oak kitchen. 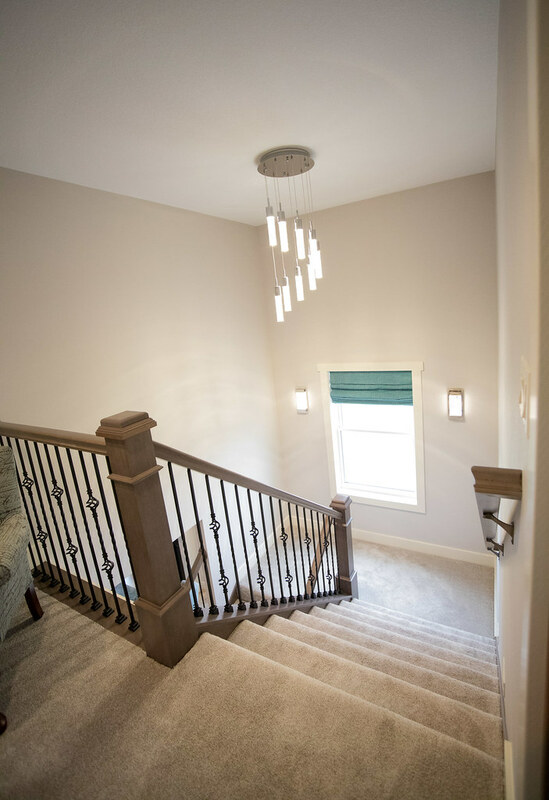 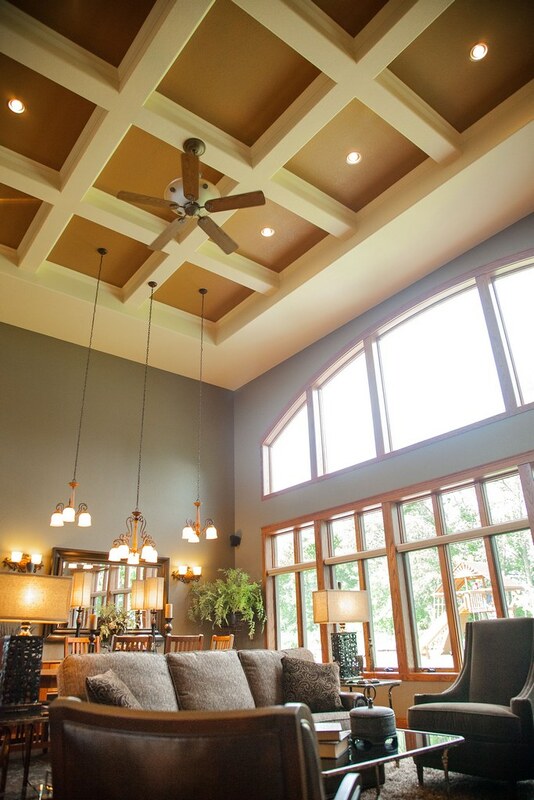 Inside you will find a coffered great room ceiling with 20+ ft ceiling, Bonus room above garage and open to below loft. 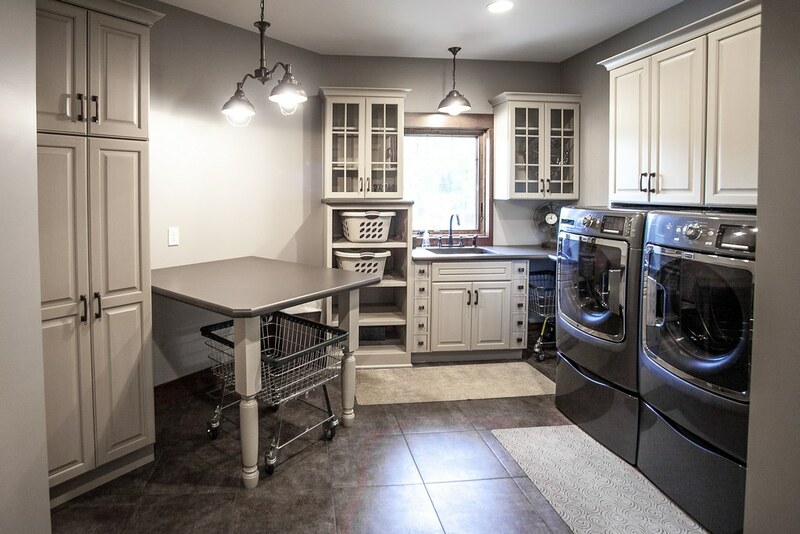 Also on the property is a custom designed detached shop with bonus attic storage, bathroom, and kitchenette. 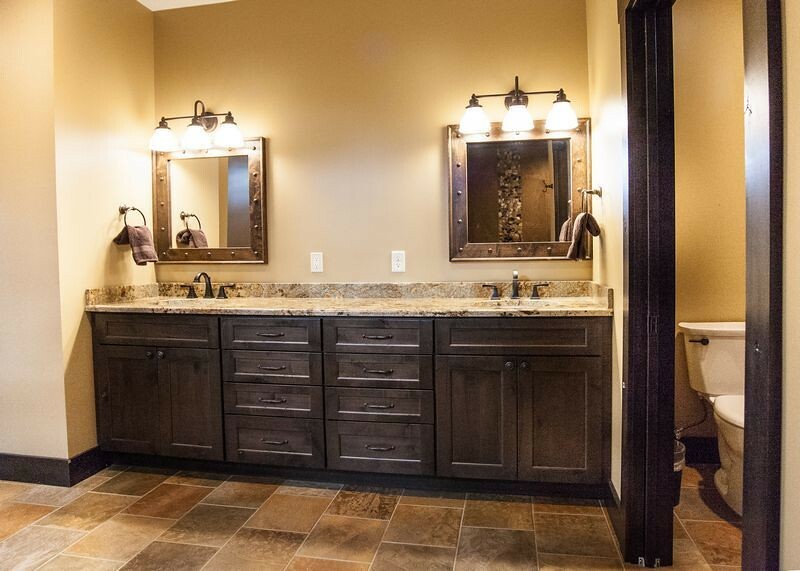 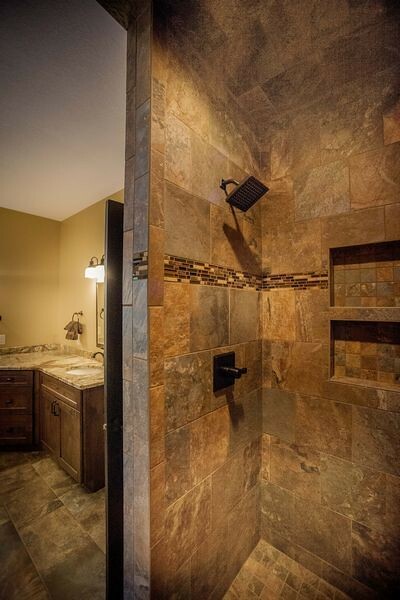 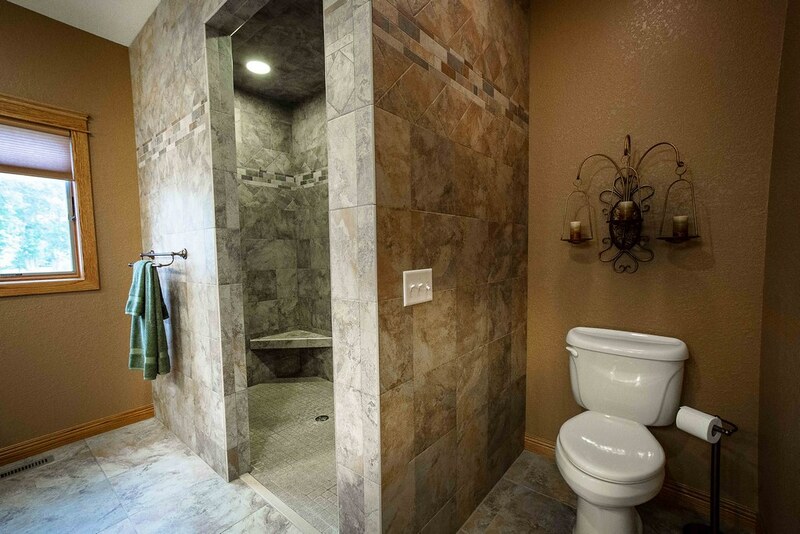 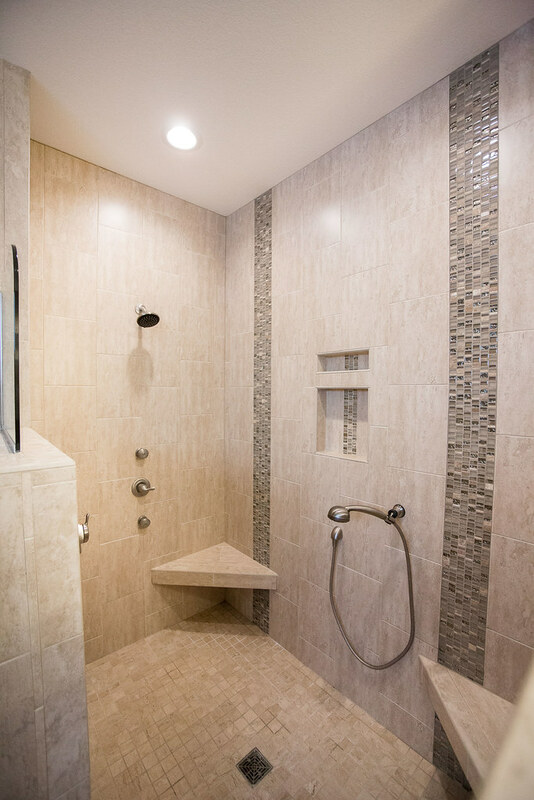 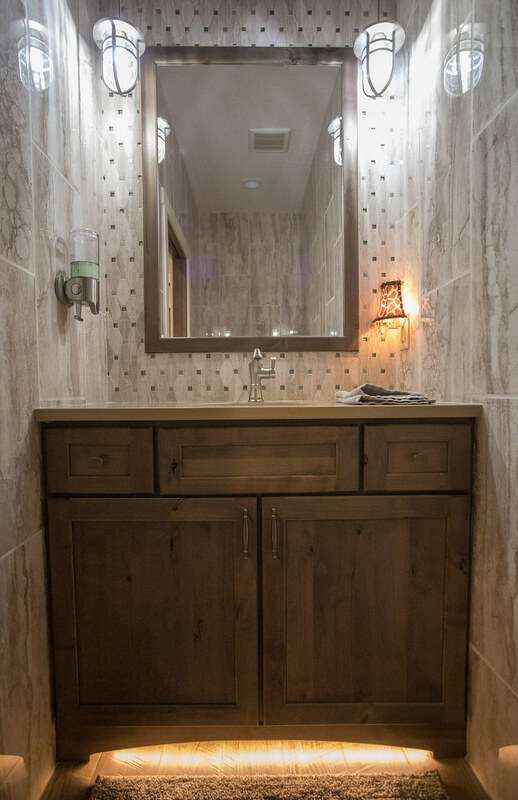 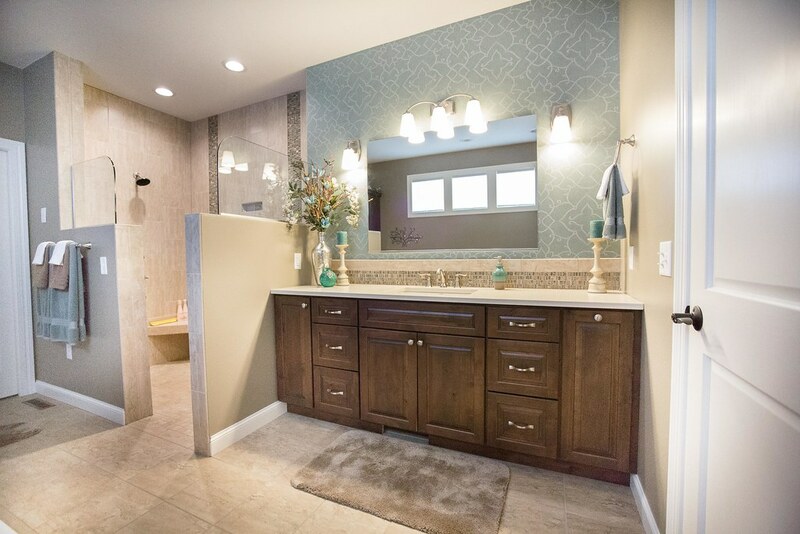 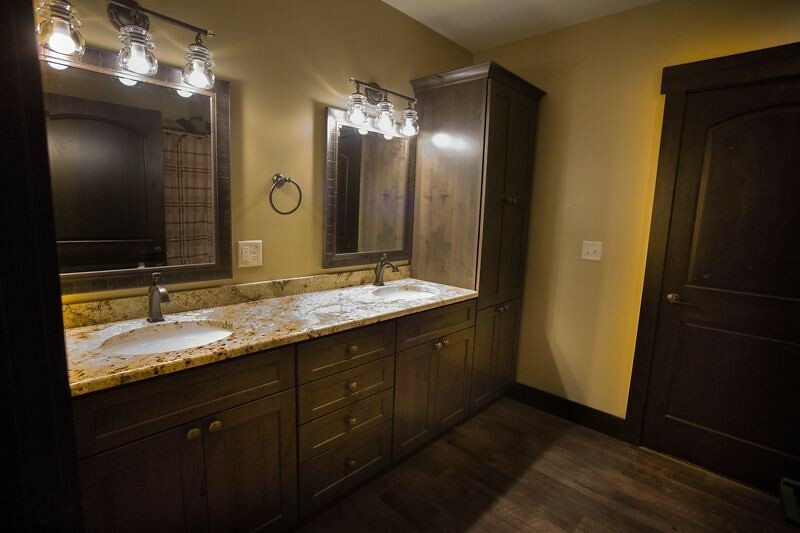 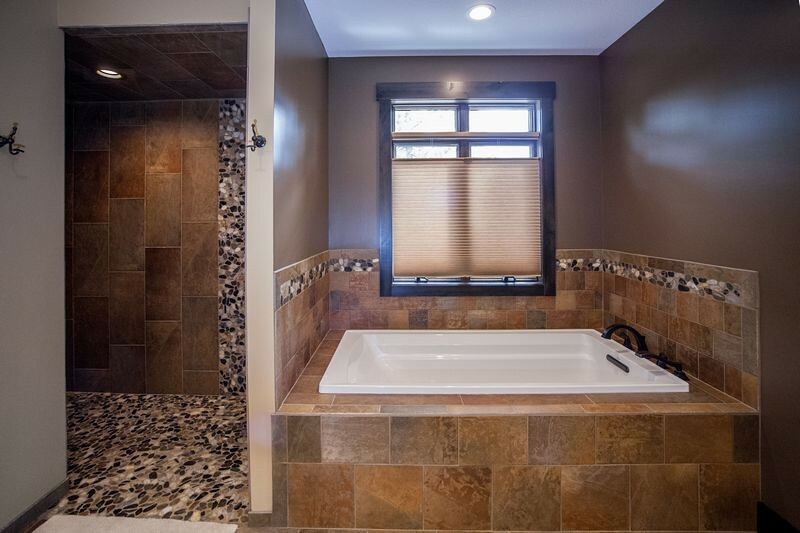 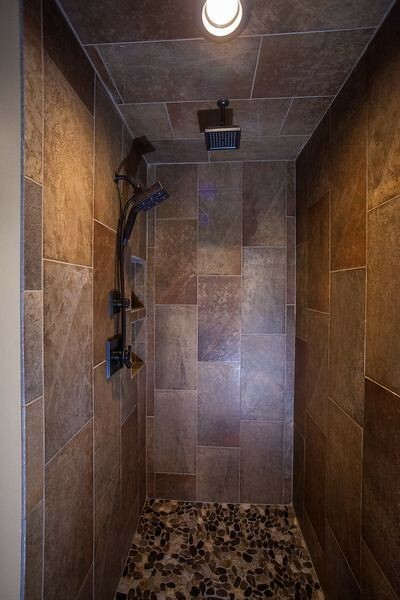 Heated floors and zero entry roll in shower are among many other ameneties to be seen in this beautiful home. 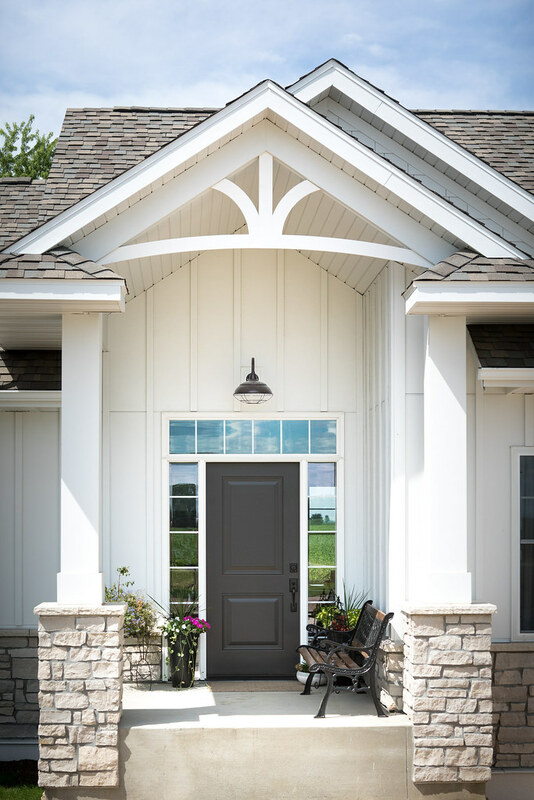 This farmhouse style house in southern Minnesota could be the definition of charming. 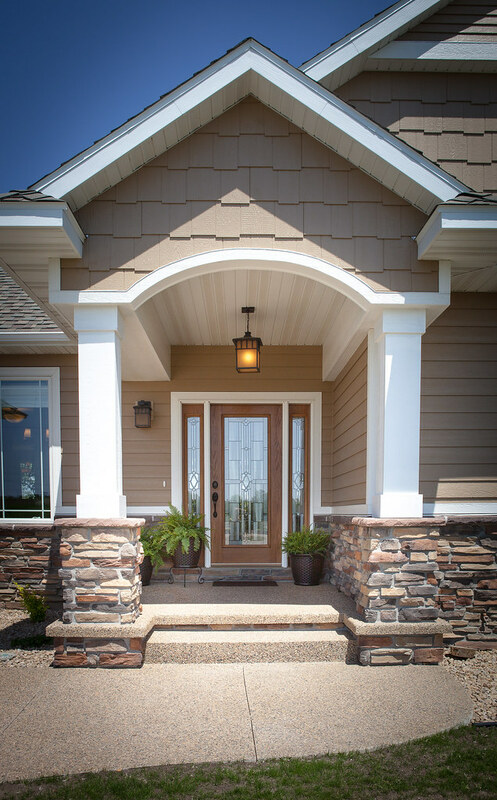 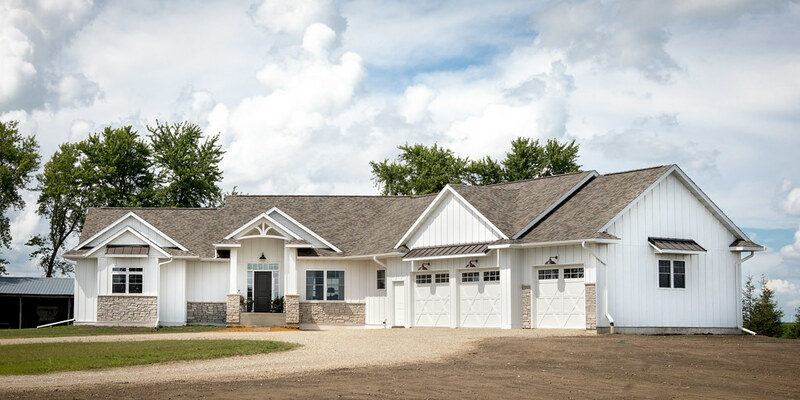 Wrapped in rustic grain, smooth plank James Hardi board and batten with metal roof accents and decorative gable bracket above the front door are only a few of the many highlights of this house. 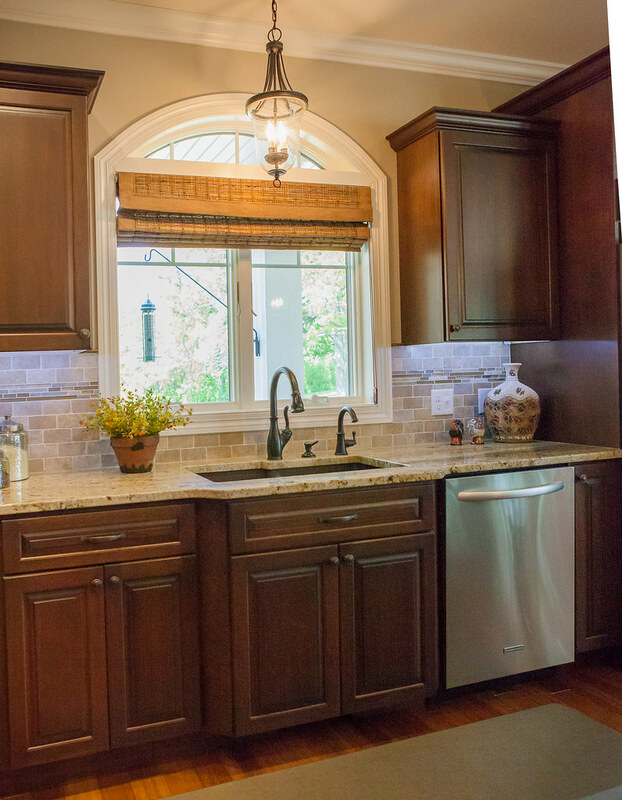 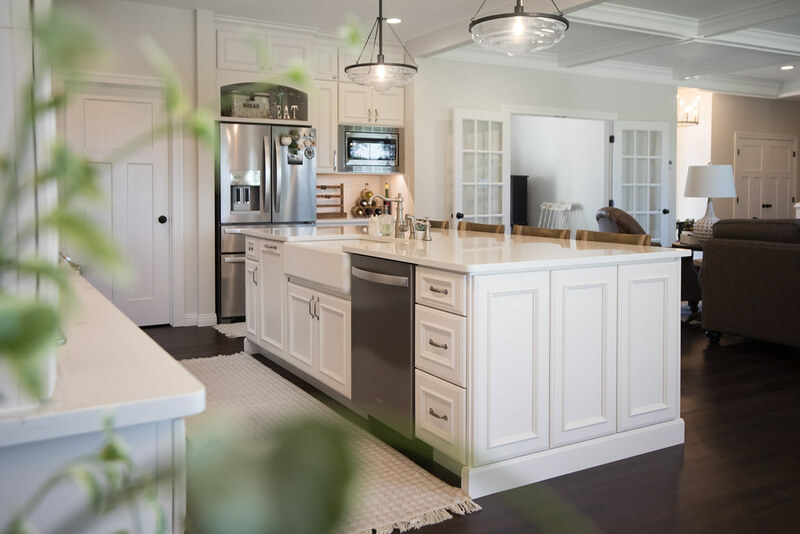 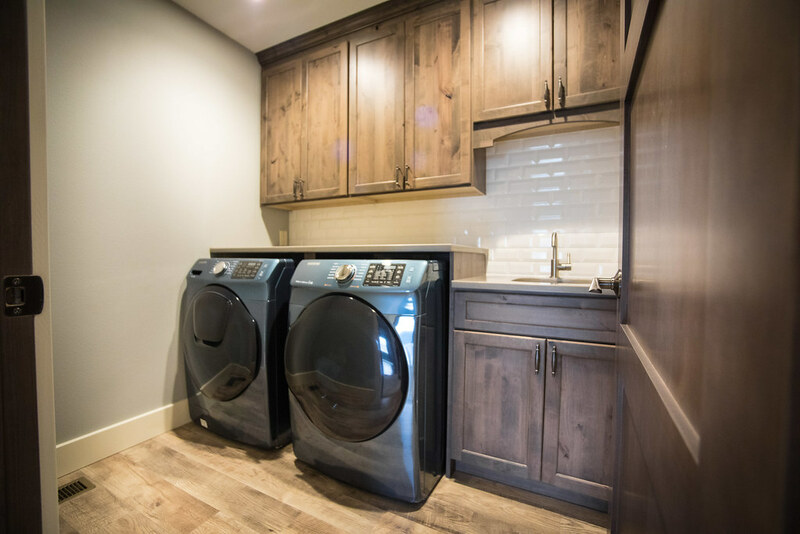 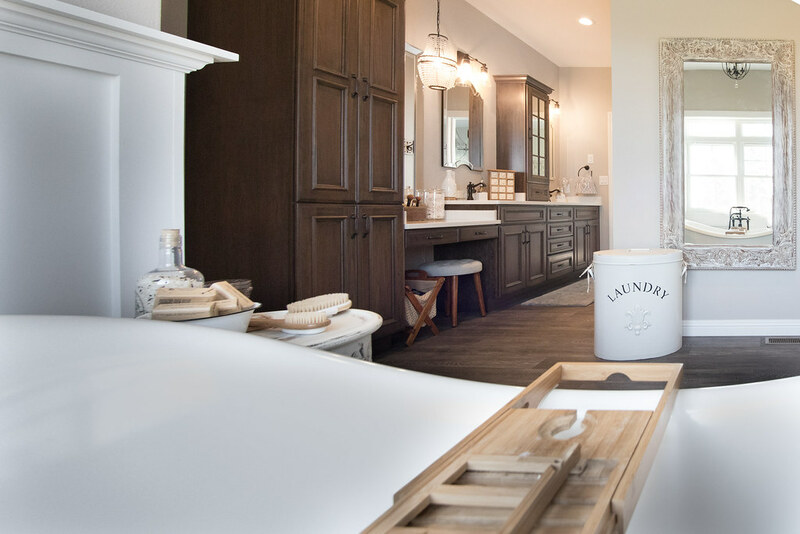 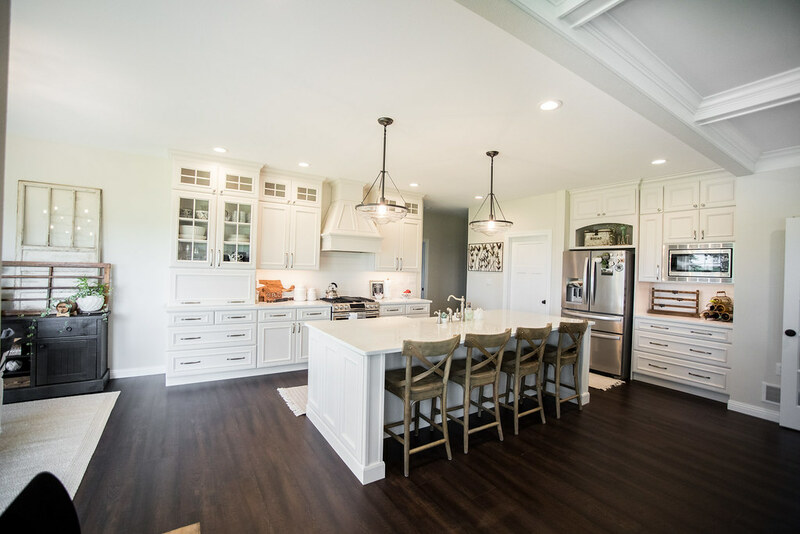 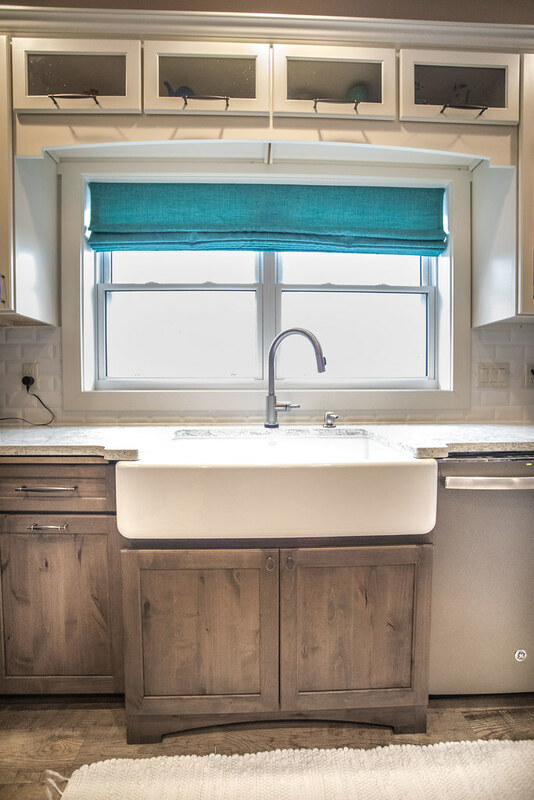 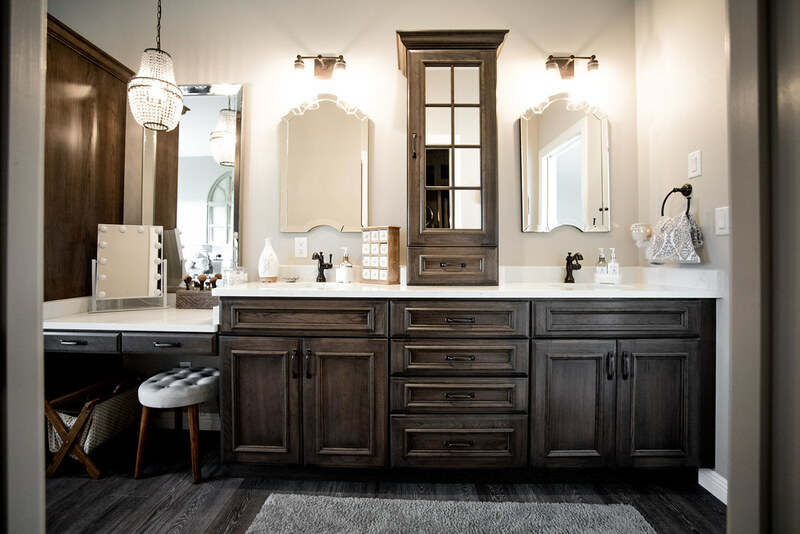 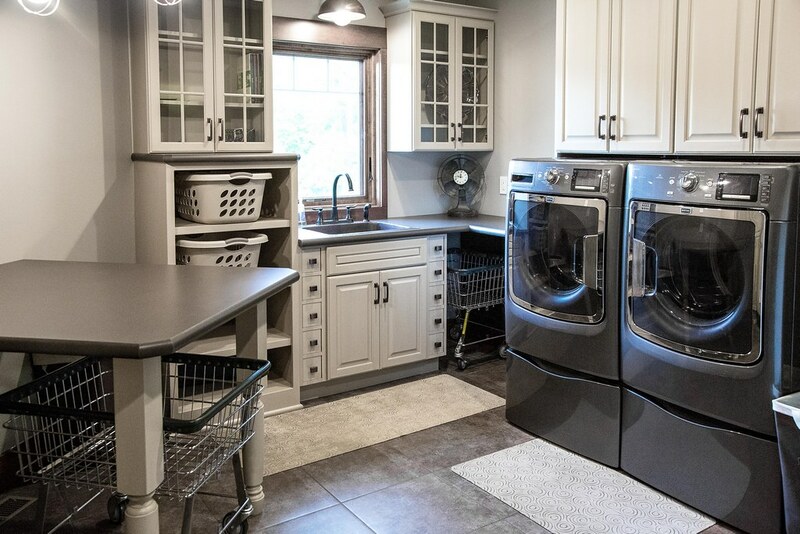 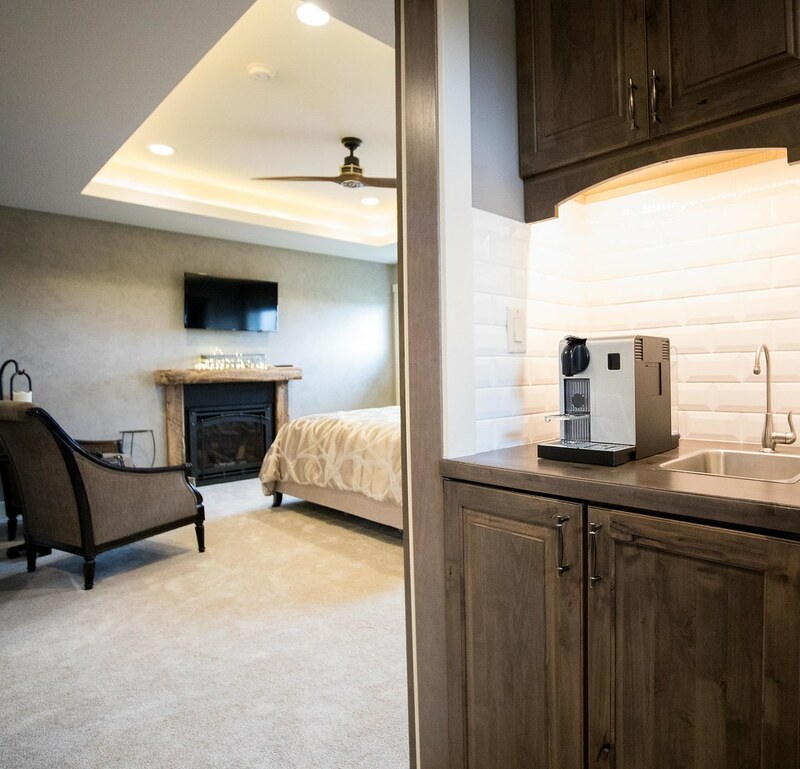 With elegant white Dura Supreme cabinets to light up the kitchen, and warm dark stained cabinets in the master bathroom to truly make it a serine escape. 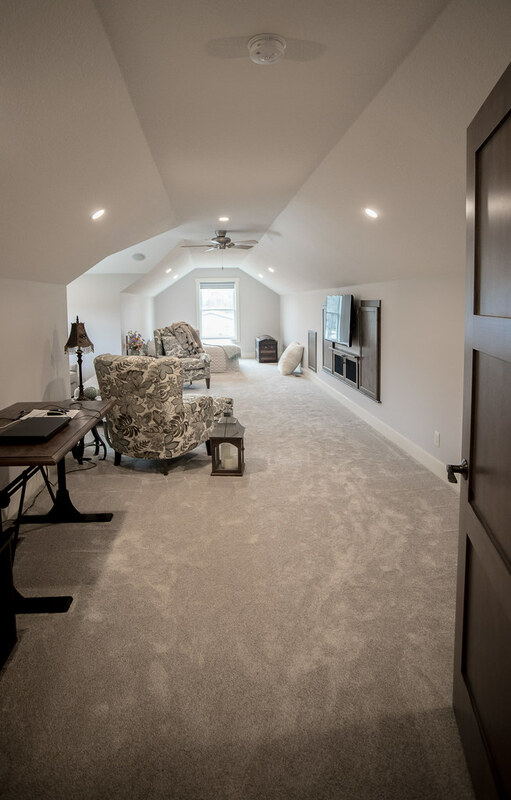 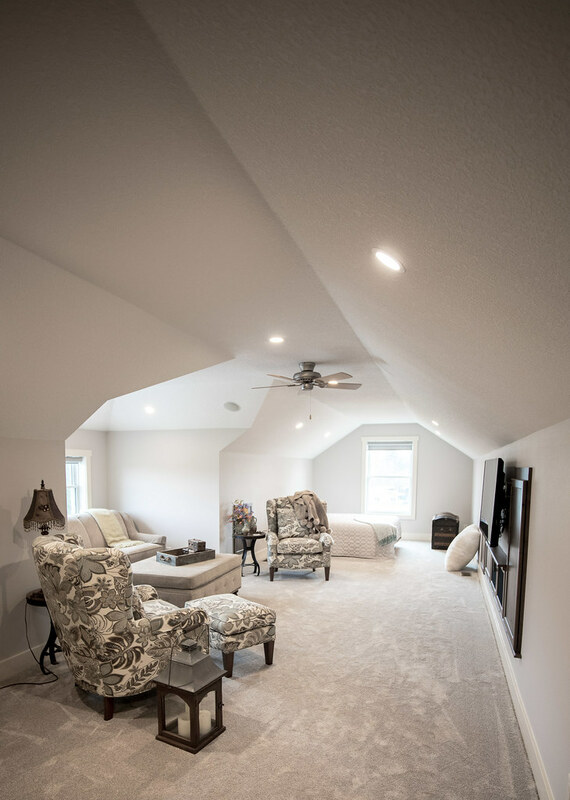 The finished main floor spreading almost 2,400 square feet, and the unfinished basement of equal size, gives this home has the potential to become even greater if that can be imagined. 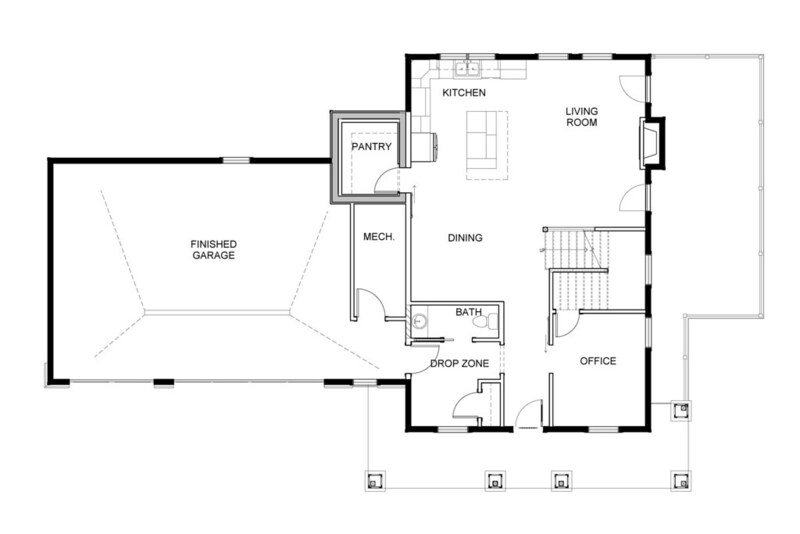 This spacious dream house is two bed, two bath, with office on the main floor. 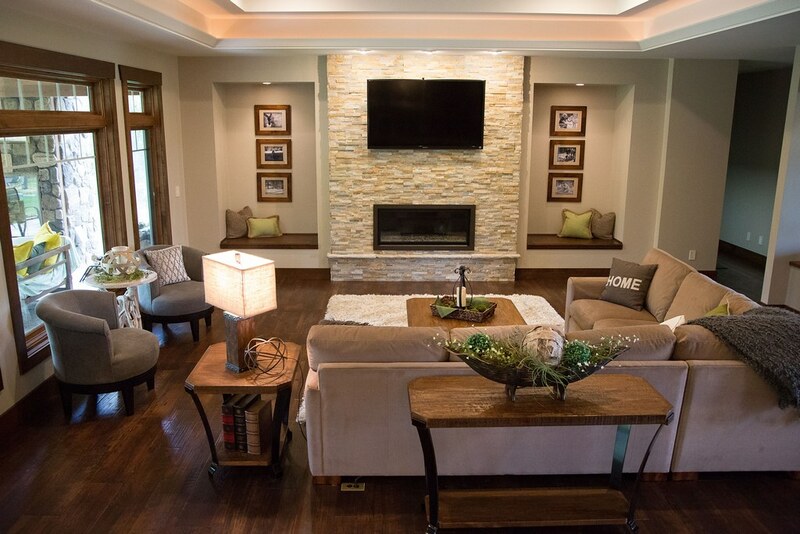 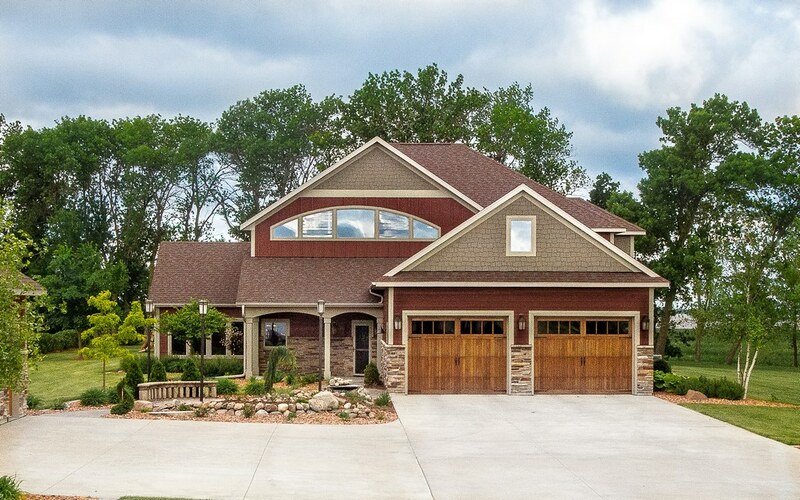 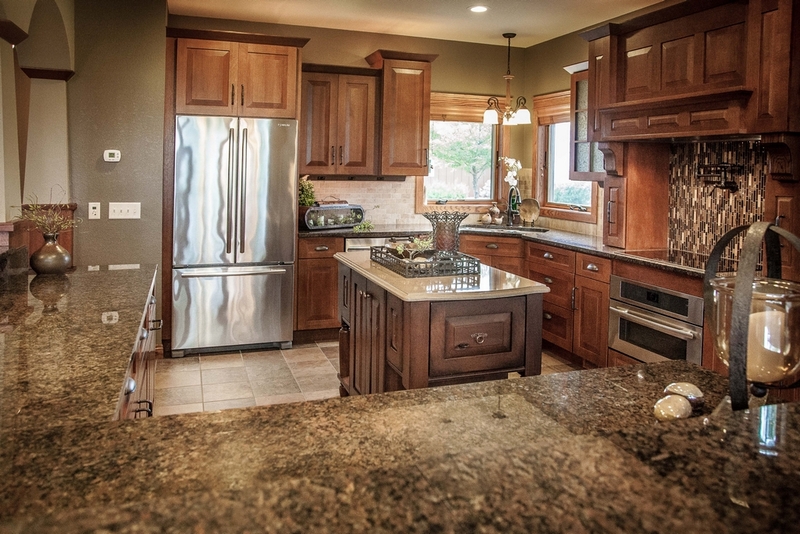 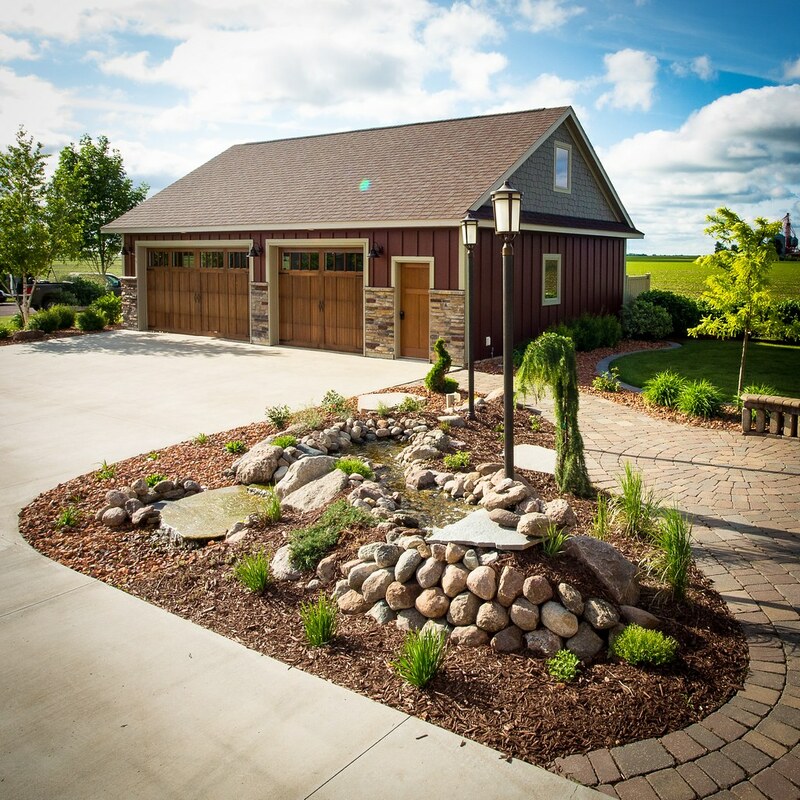 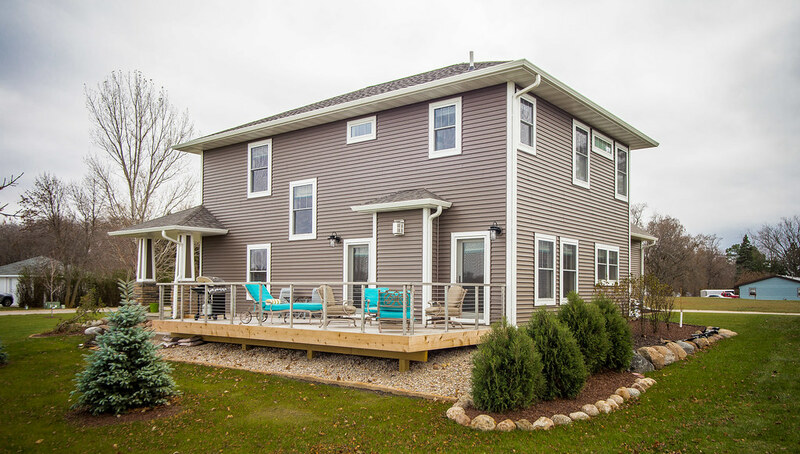 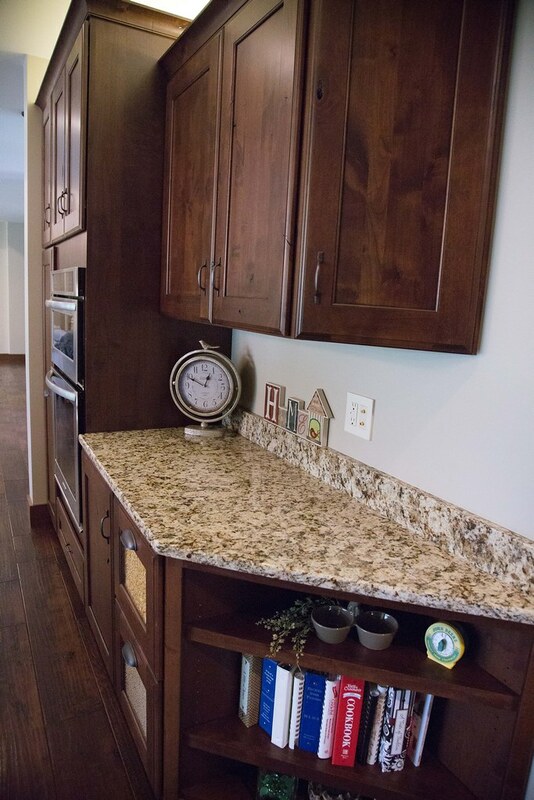 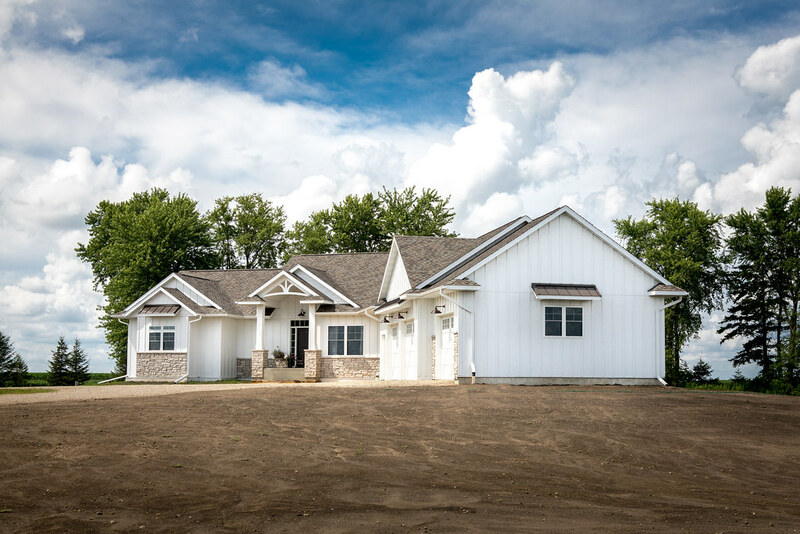 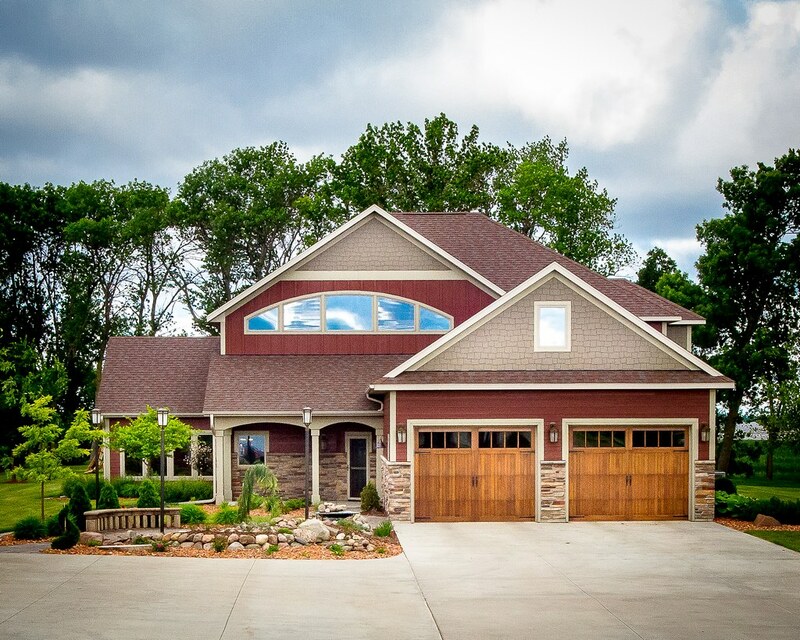 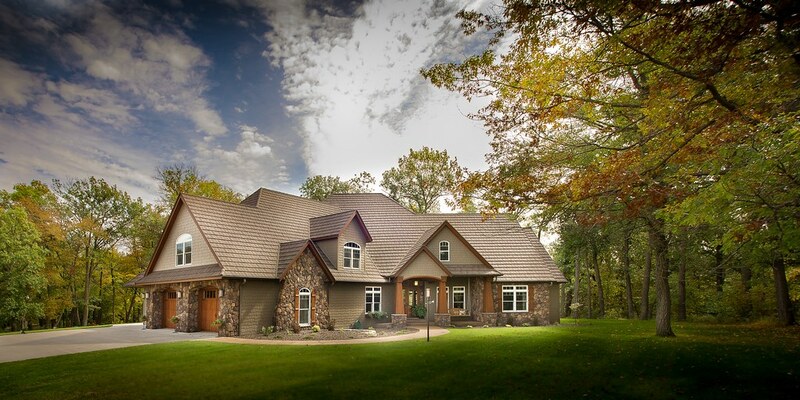 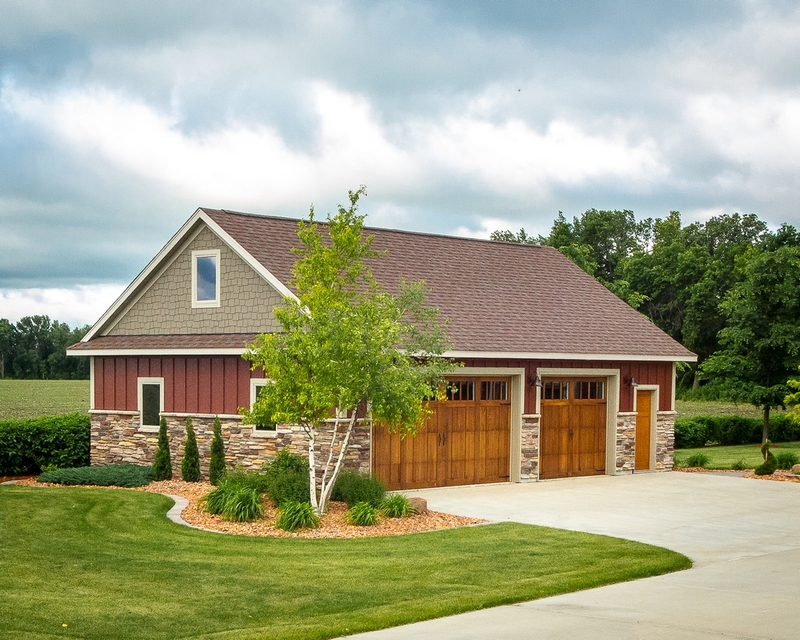 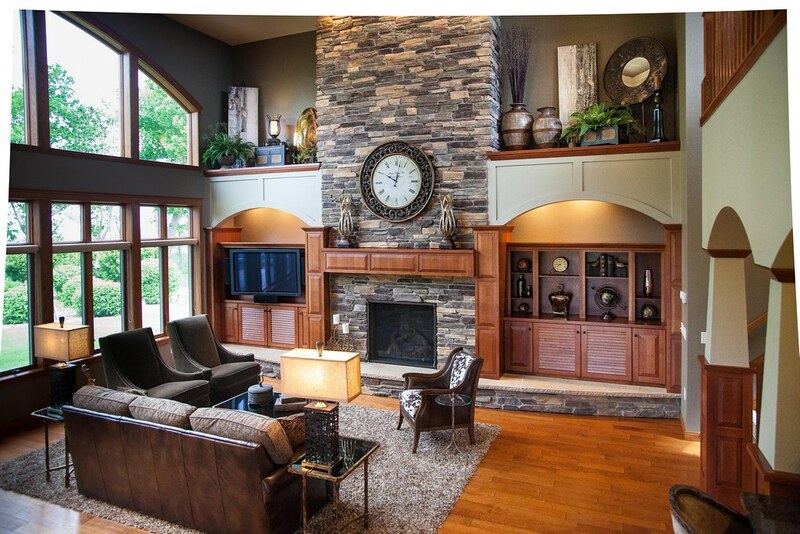 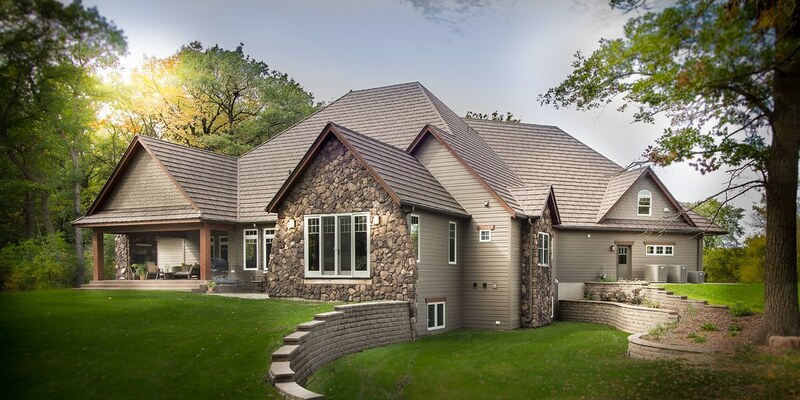 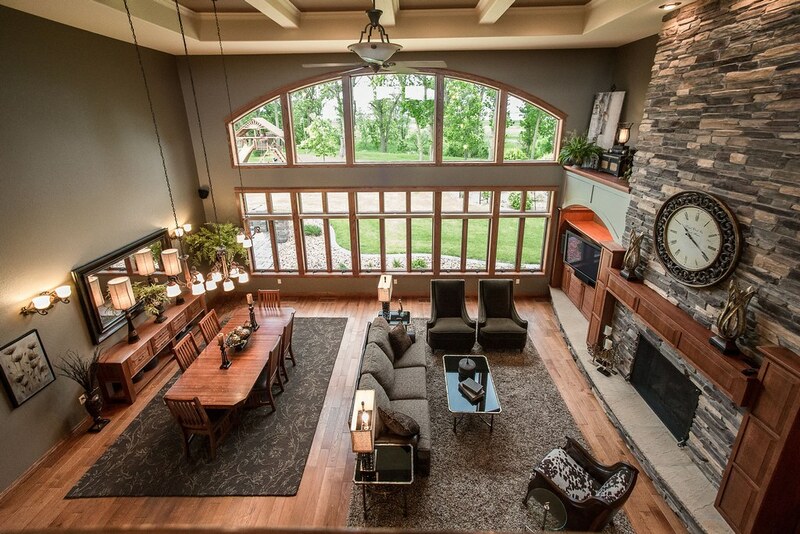 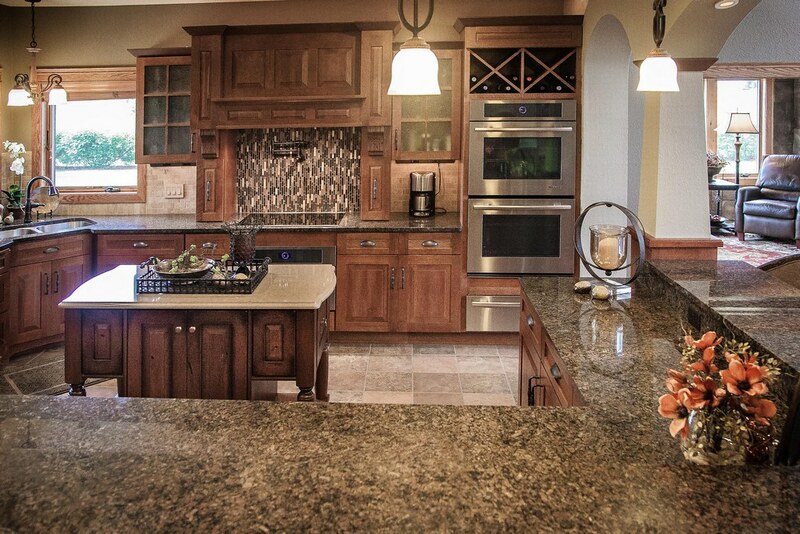 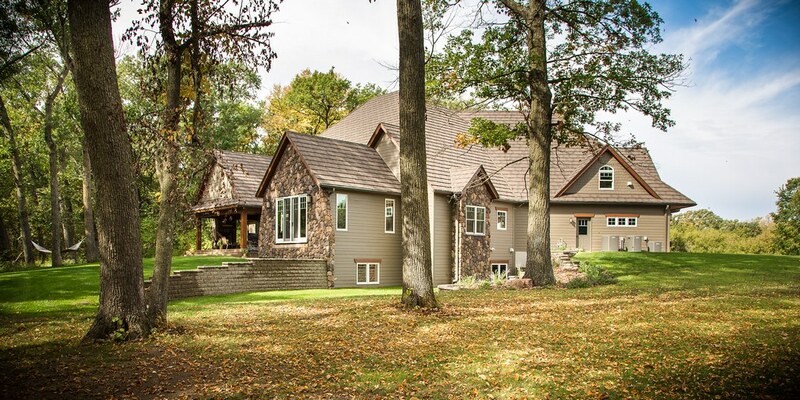 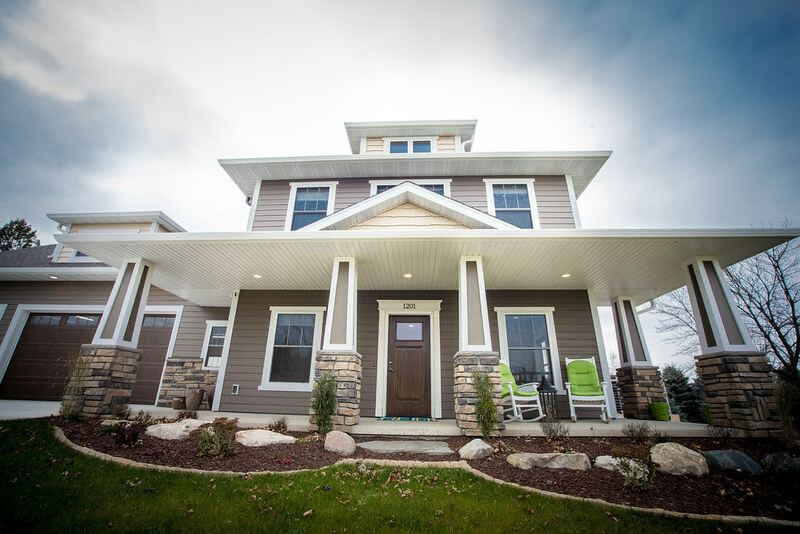 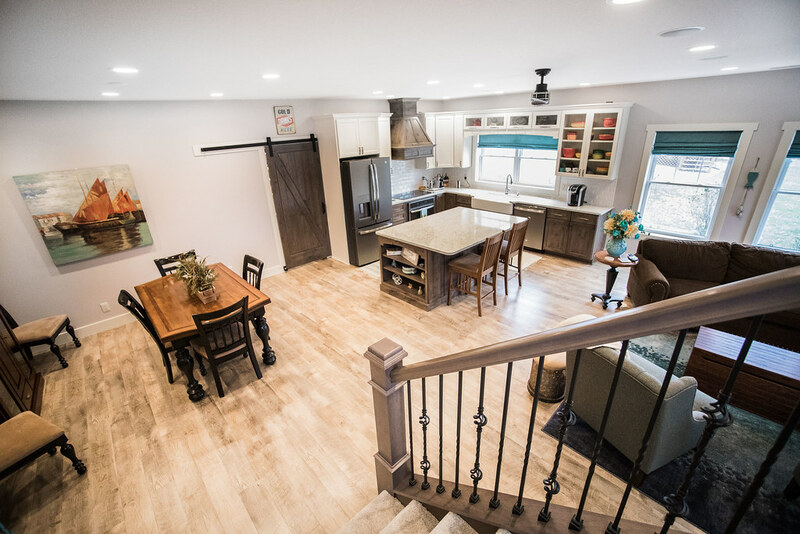 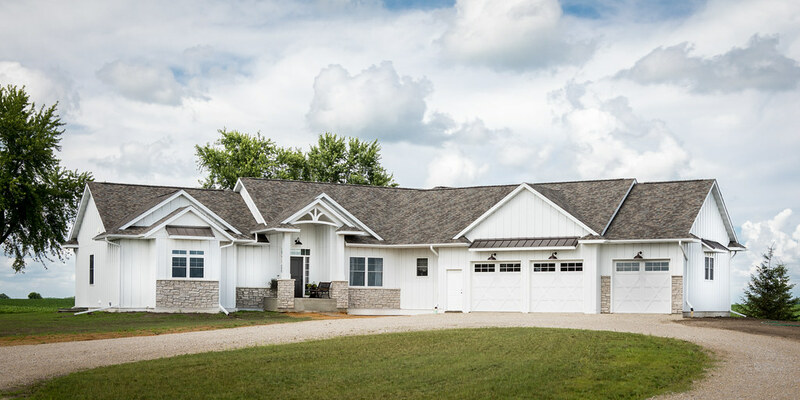 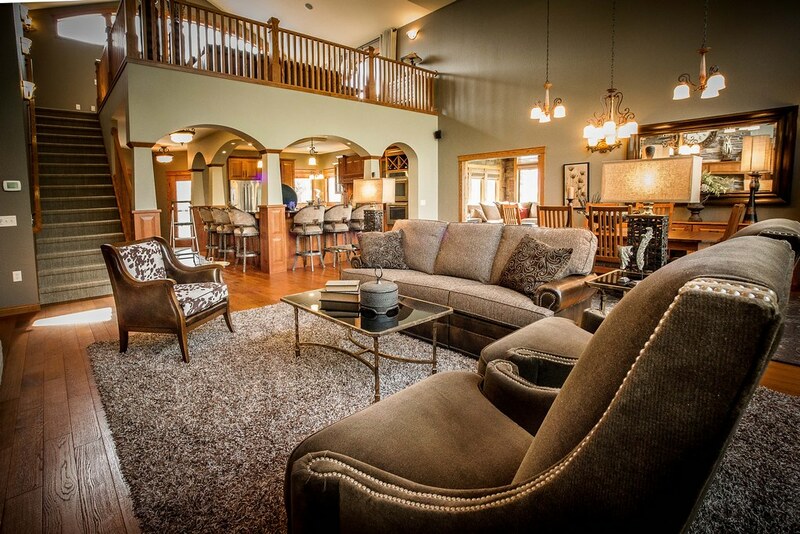 This eye-catching slab on grade home located in central Iowa is a cut above the rest. 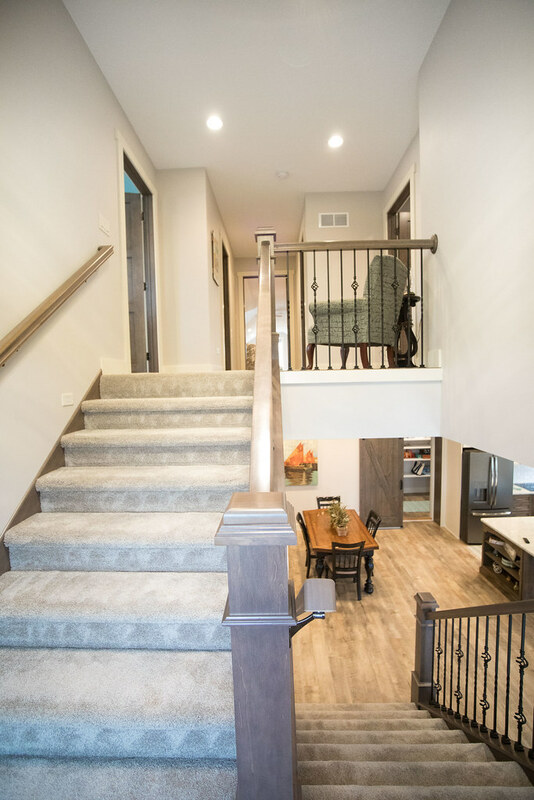 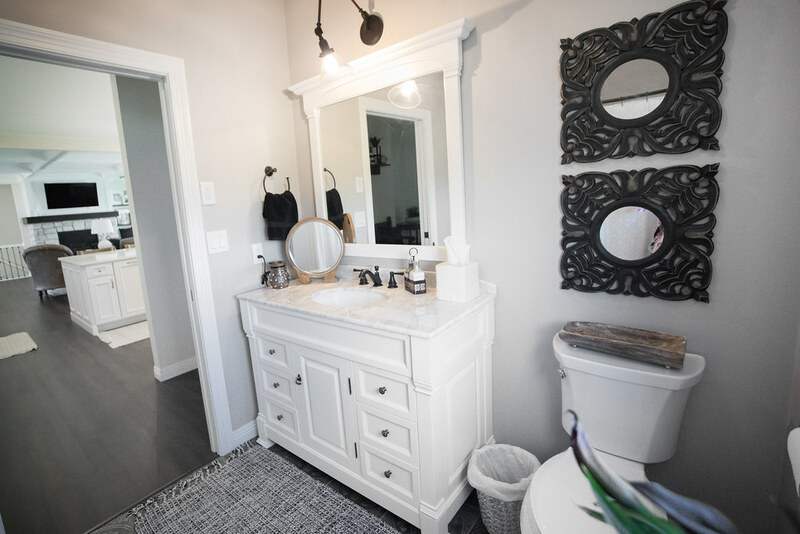 With 2,175 square feet total for the first floor and second floor it makes use of every square inch having two bedrooms, an office and two and a half bathrooms. 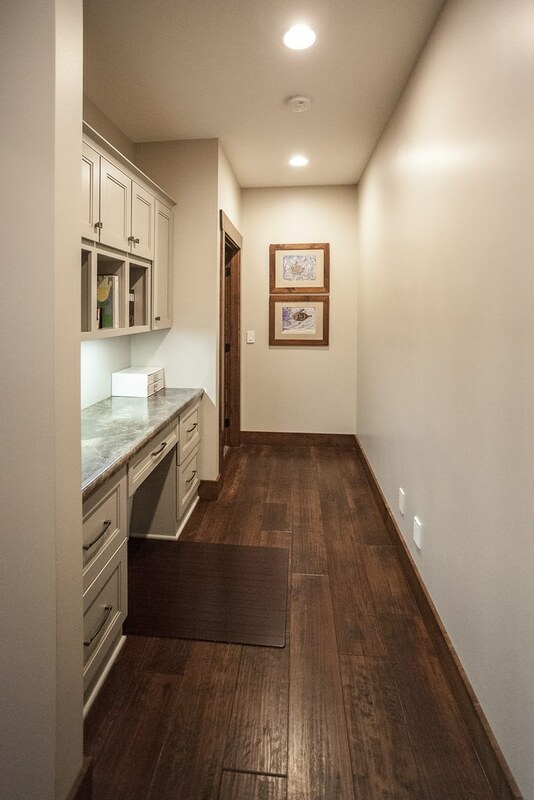 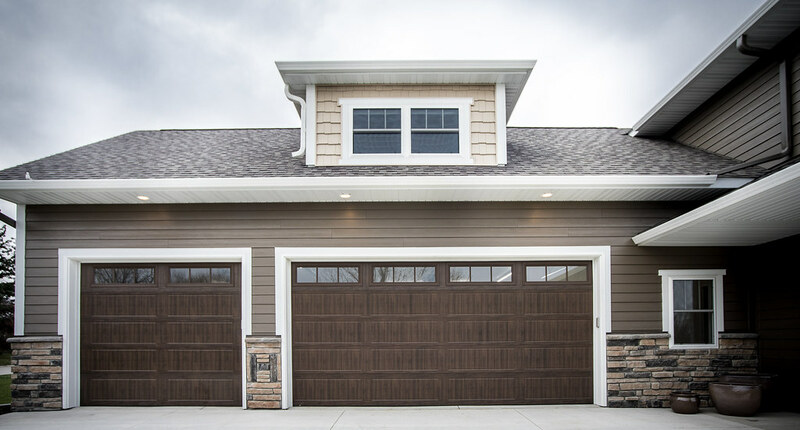 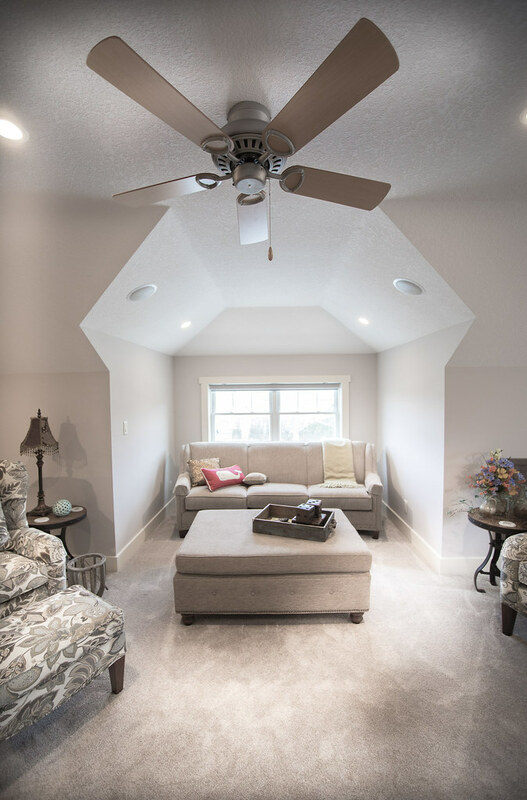 The three-stall garage that includes a bonus room above that adds another 516 square feet to living space to fit any family’s needs. 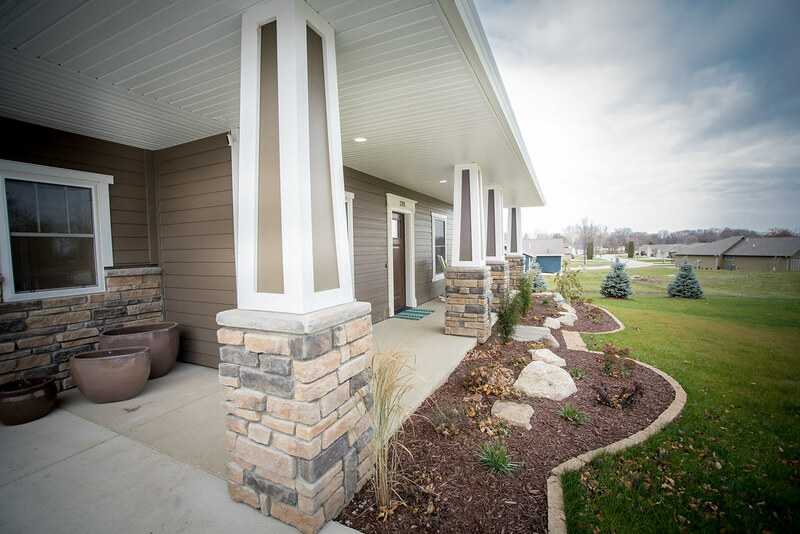 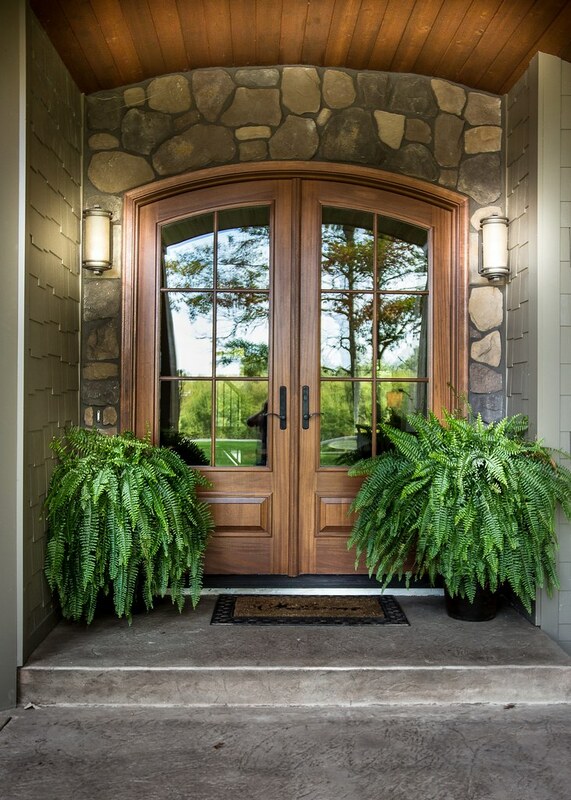 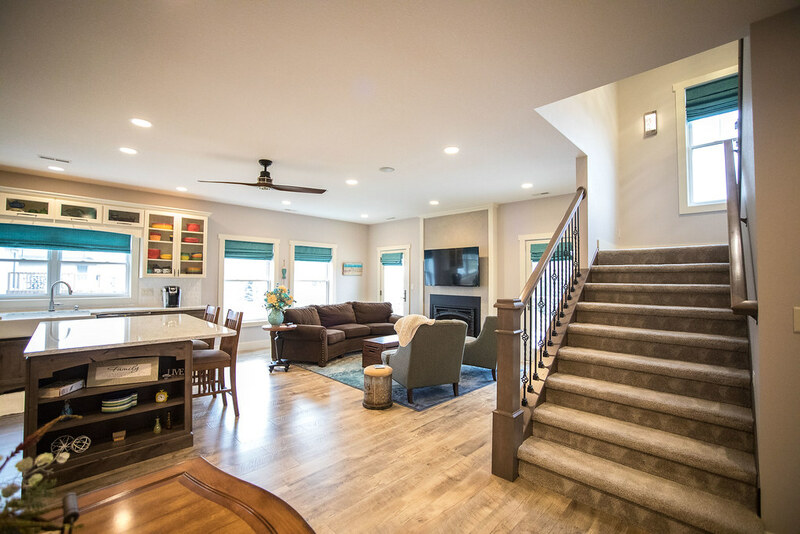 The beautiful interior is matched with an equally beautiful exterior with wrap around covered concrete porch to enjoy. 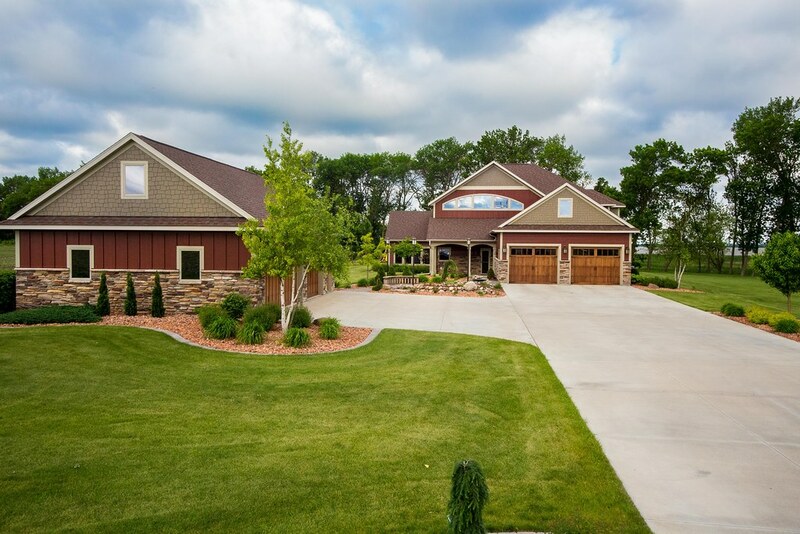 A lake lot that doesn't hold back! 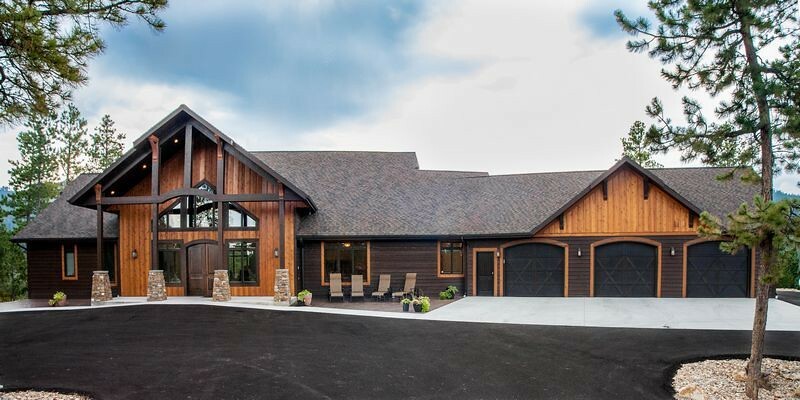 This stunning home has over five thousand finished square feet! 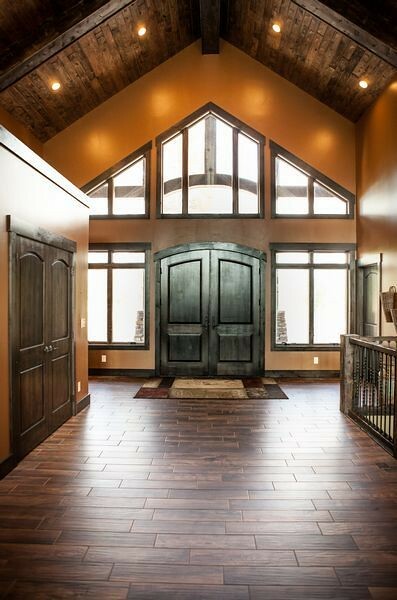 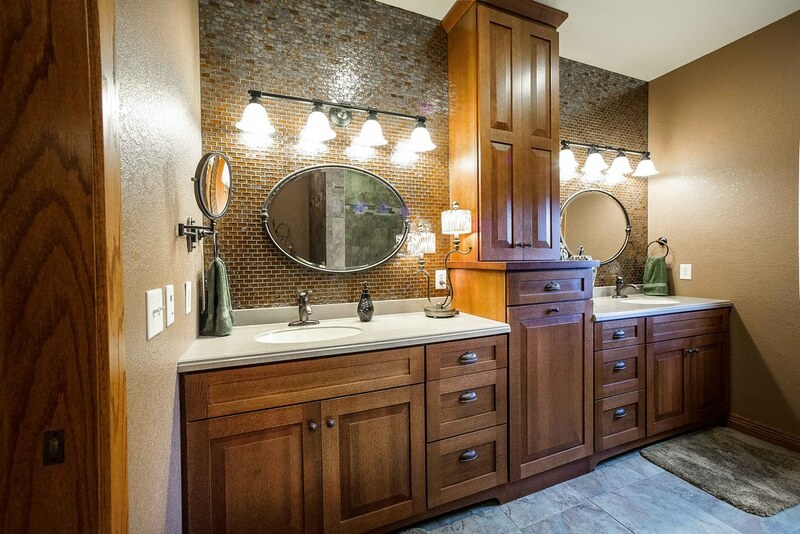 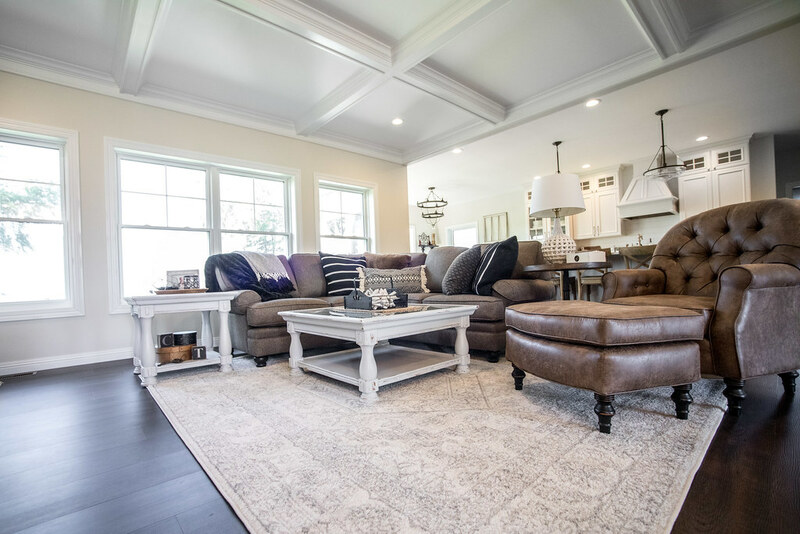 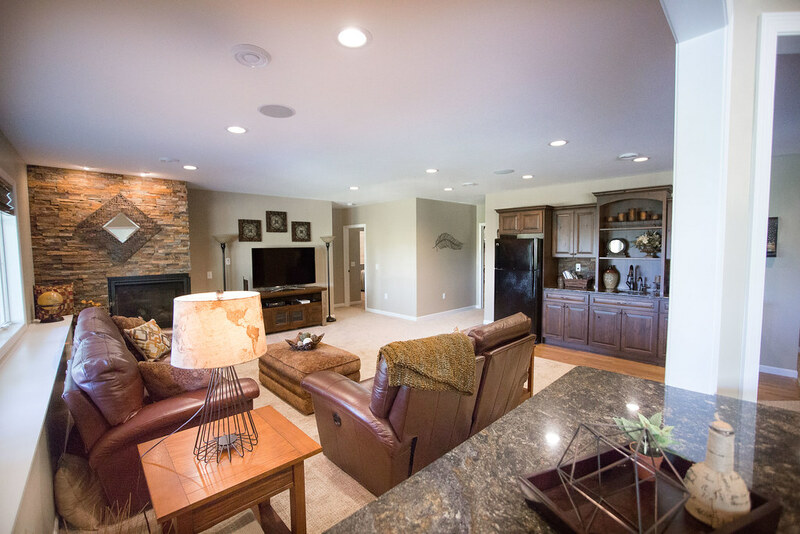 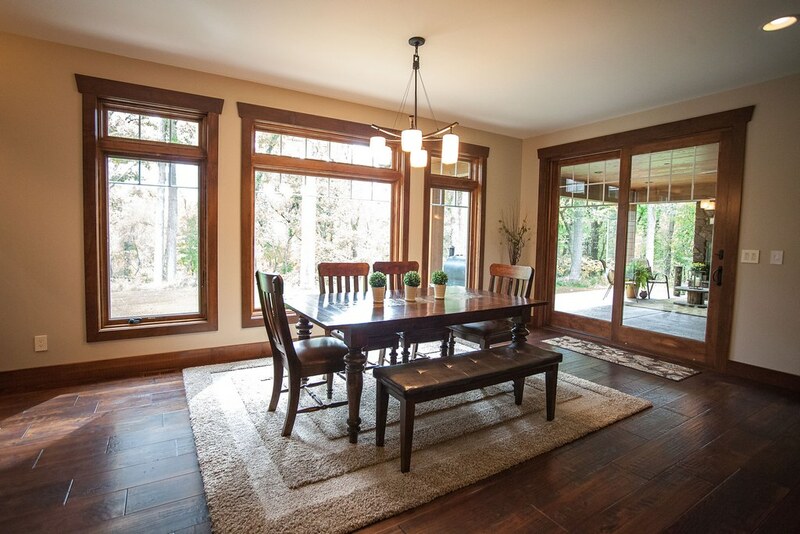 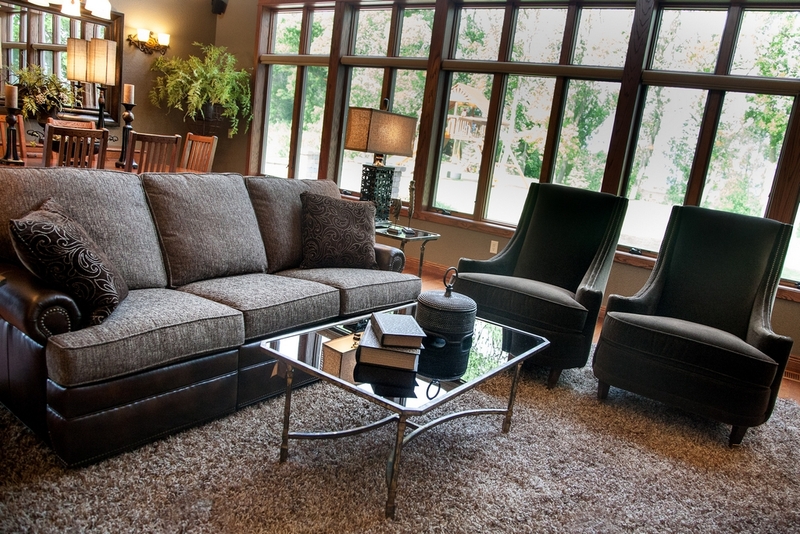 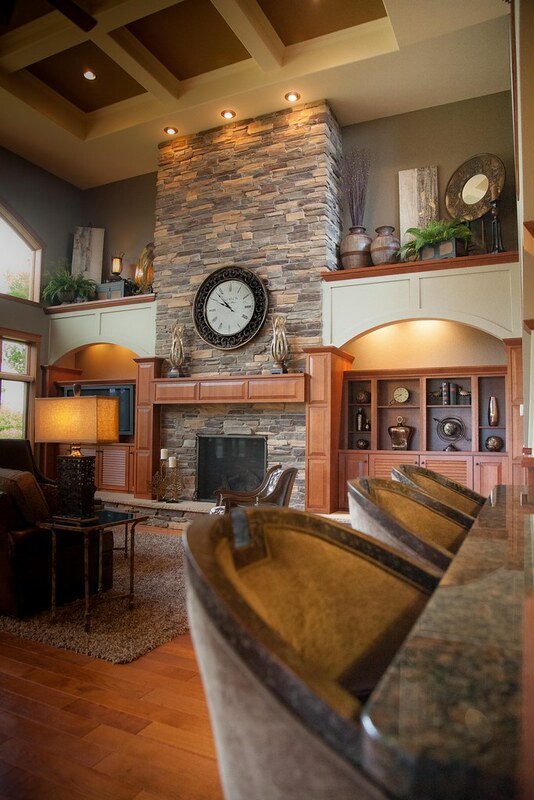 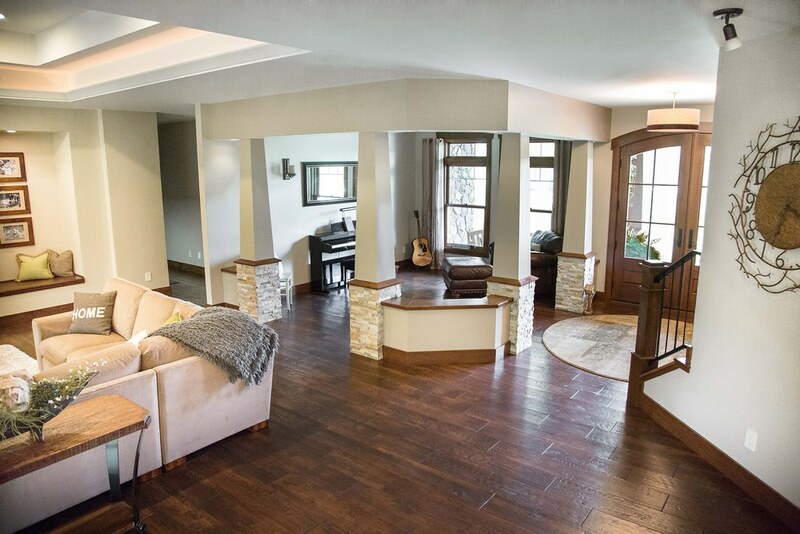 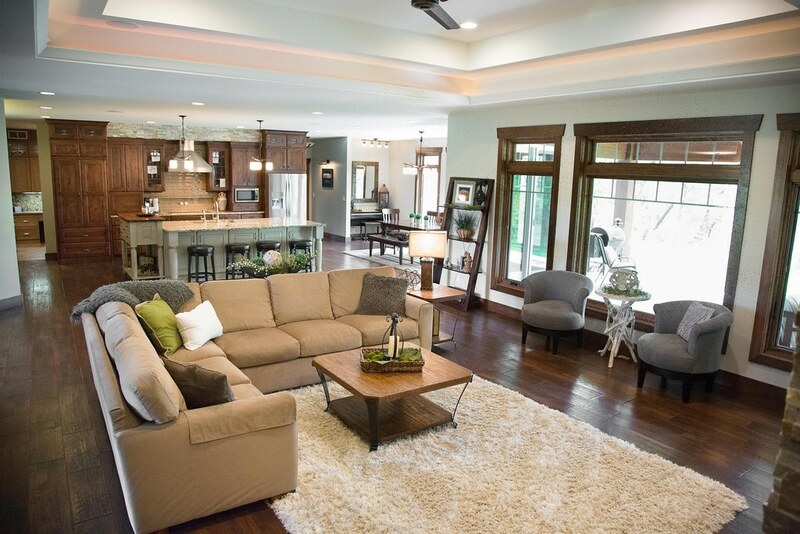 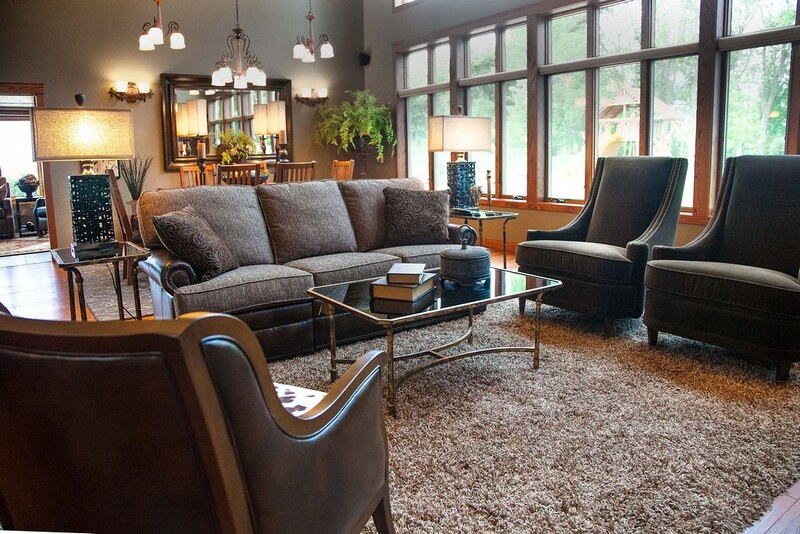 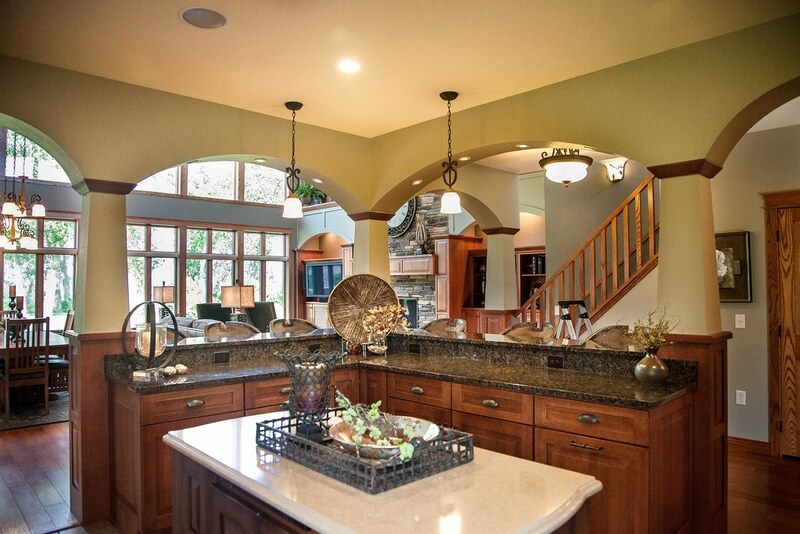 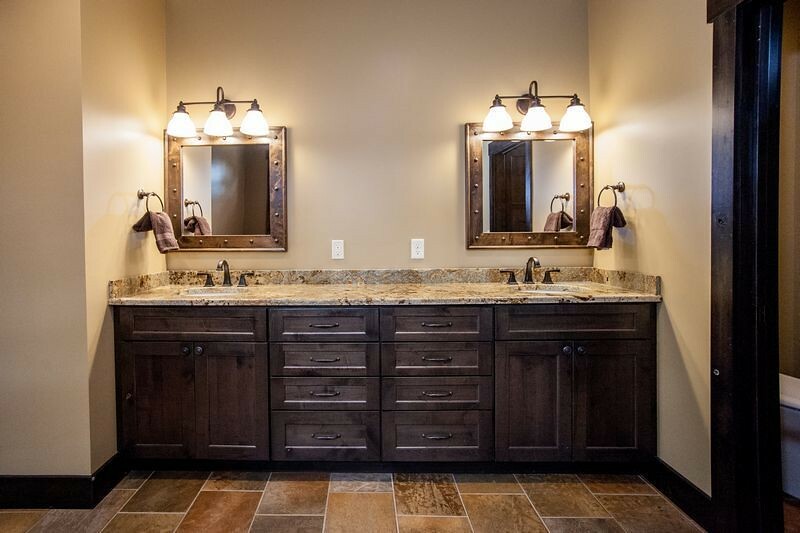 Many custom details including custom wood interior columns, arches, and tray ceilings. 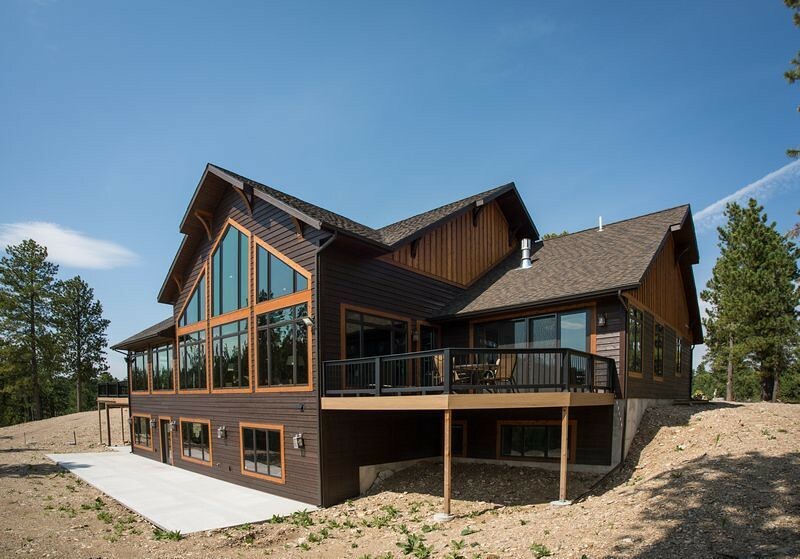 A Timbertech deck with a cable rail system offers amazing views of the lake. 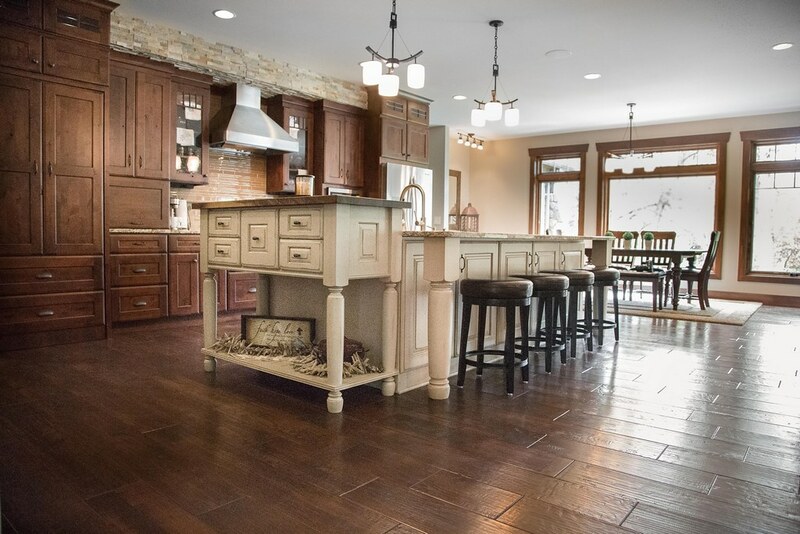 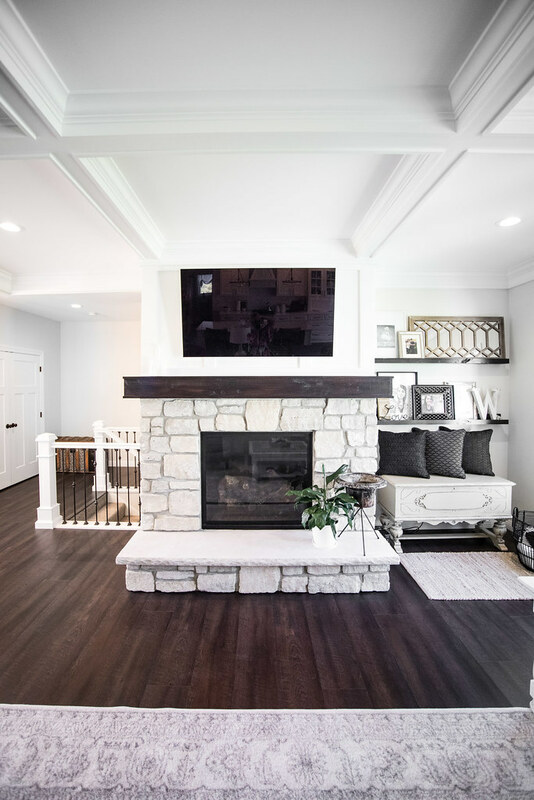 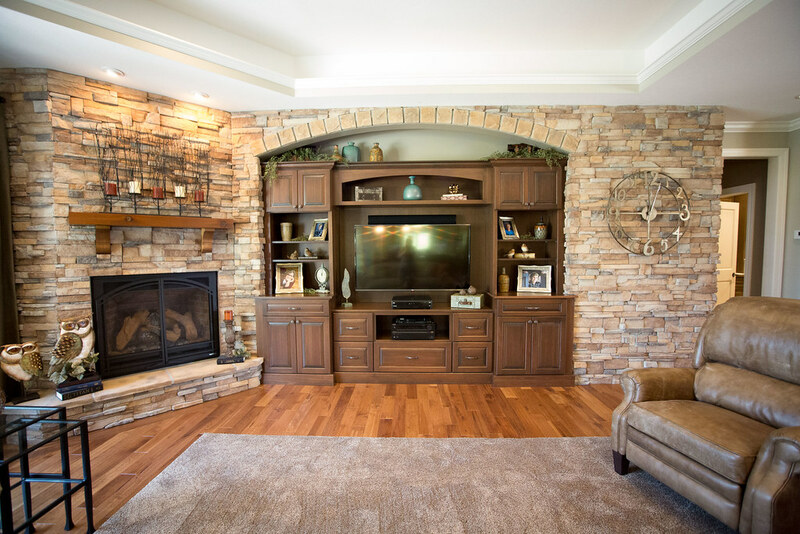 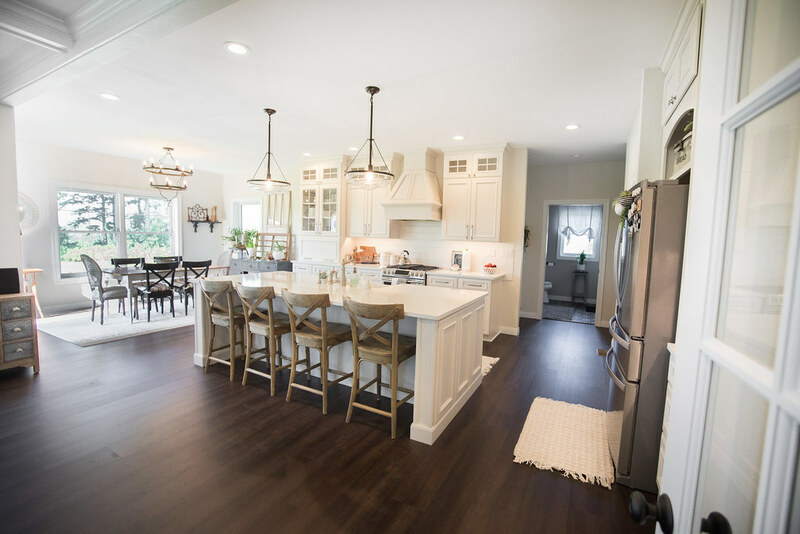 A spectacular kitchen along with numerous chef oriented cabinet storage solutions opens to a grand family room with built-in entertainment center and fireplace. 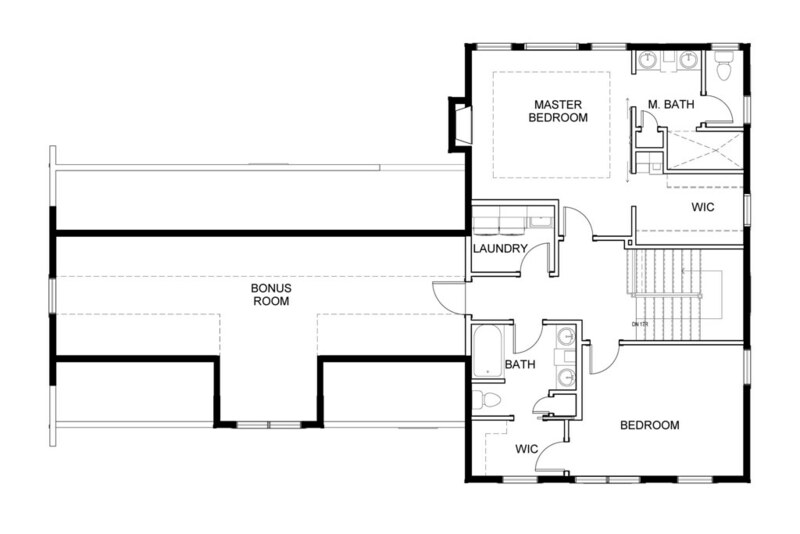 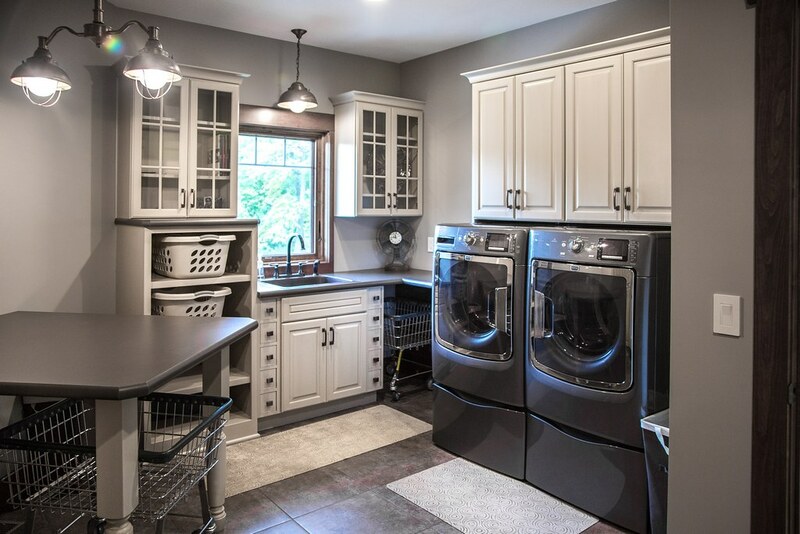 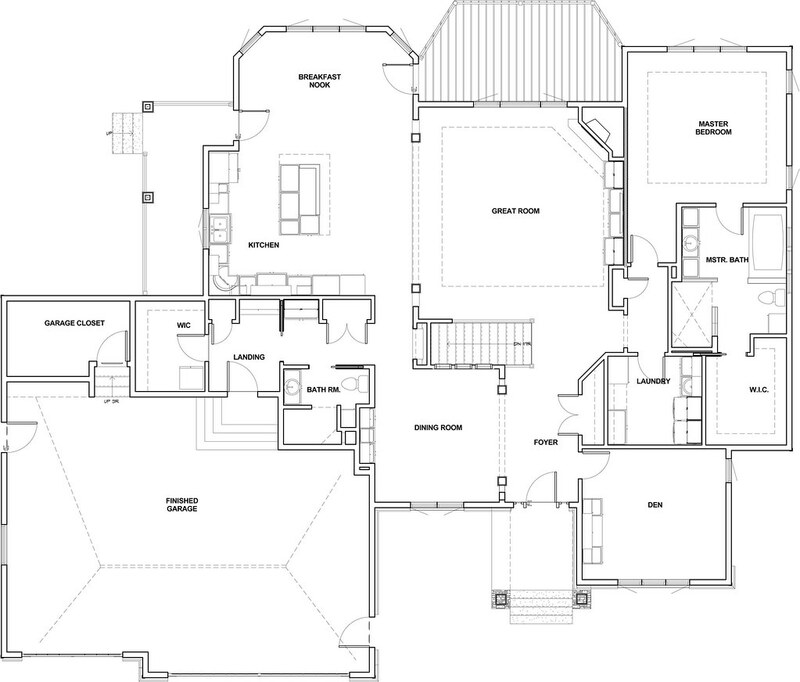 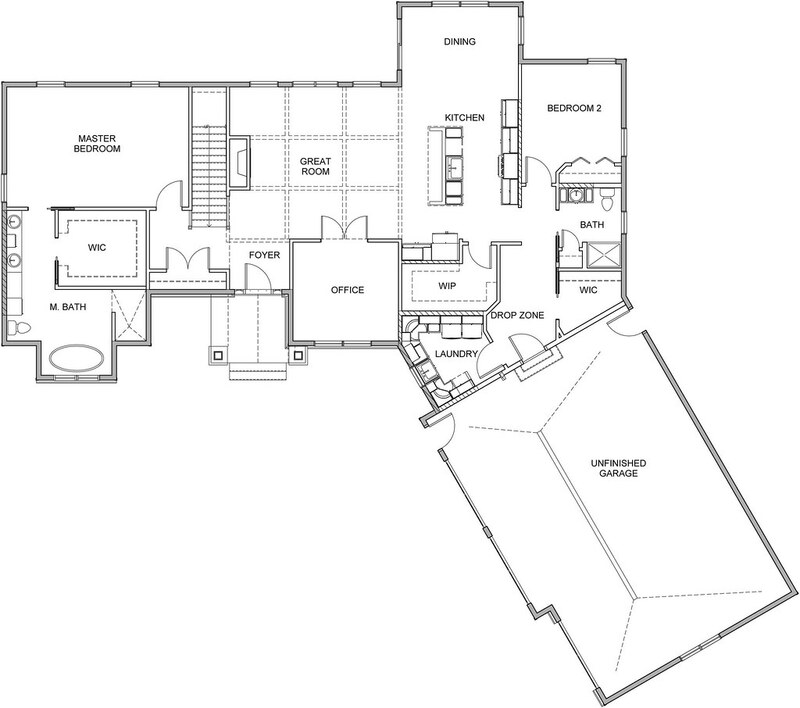 Main floor amenties include a large pantry, oversized closets, formal dining, den, master suite and large laundryroom. 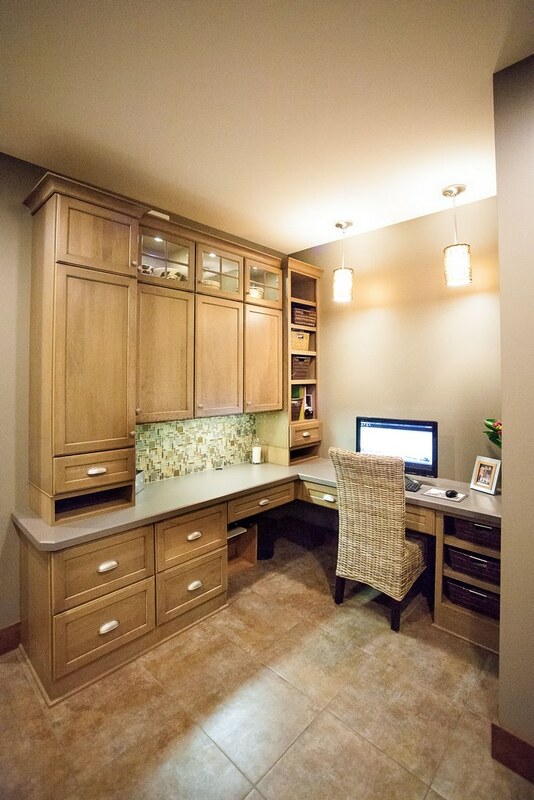 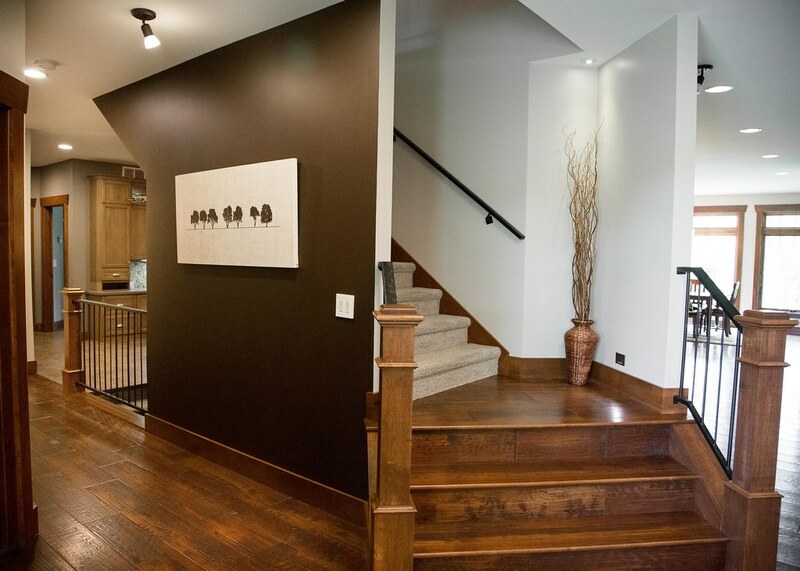 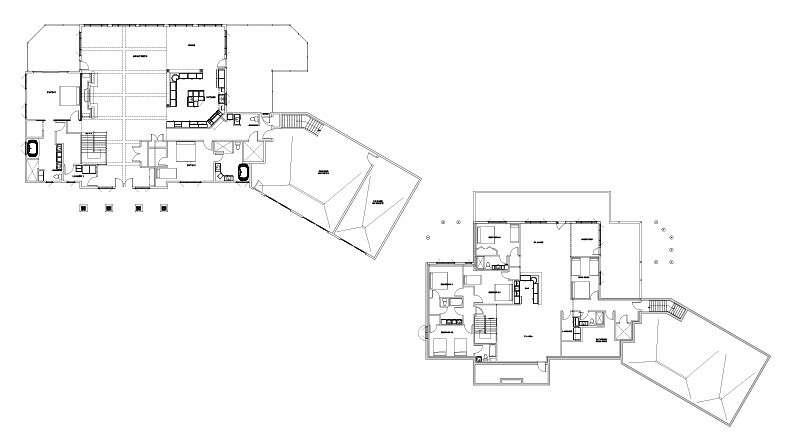 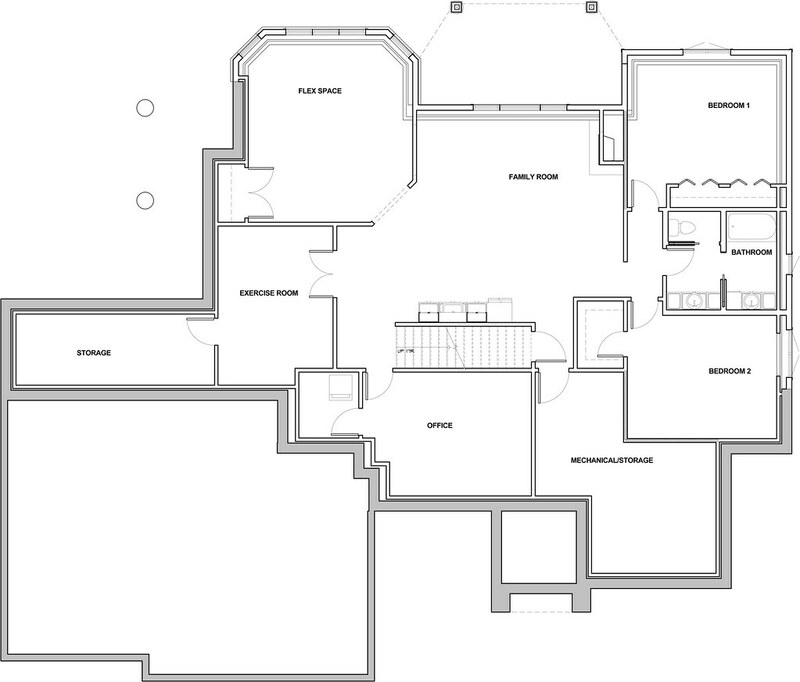 A kneewall basement features an exercise room, office, familyroom, flex space, kitchenette, and two more bedrooms. 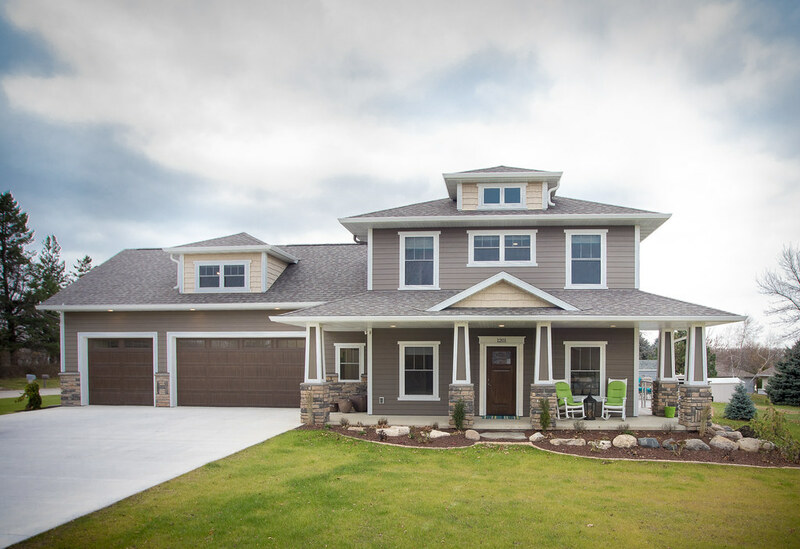 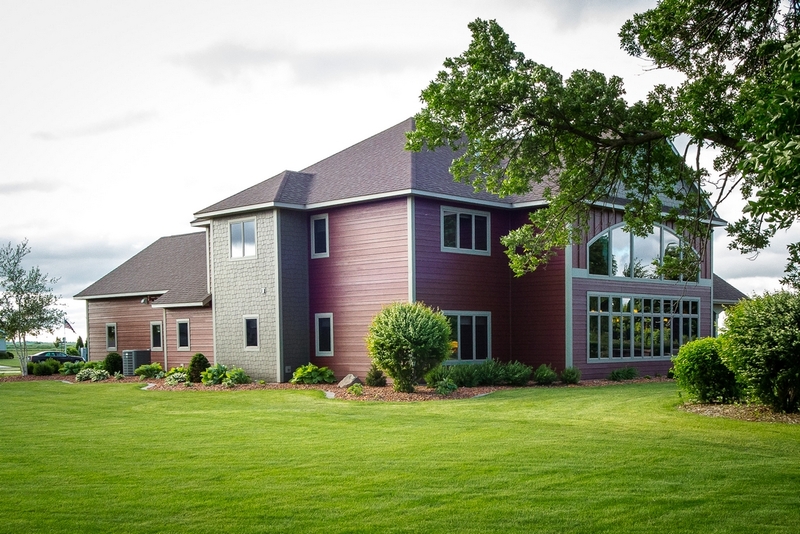 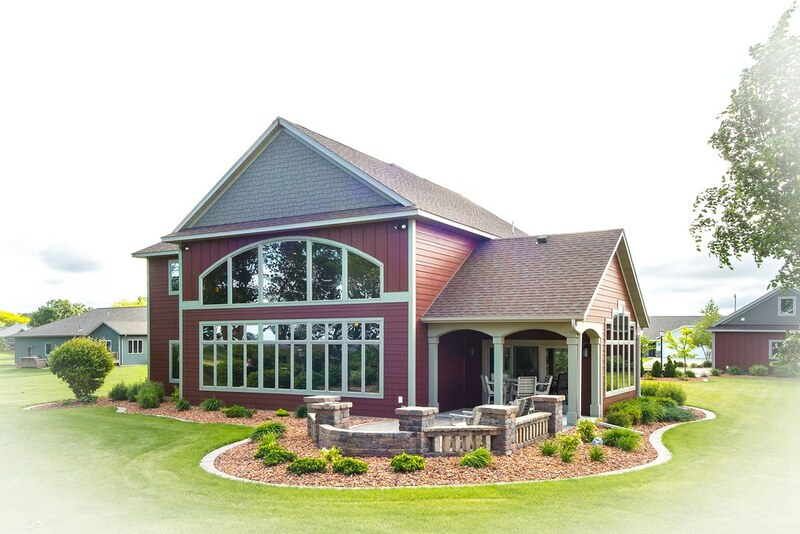 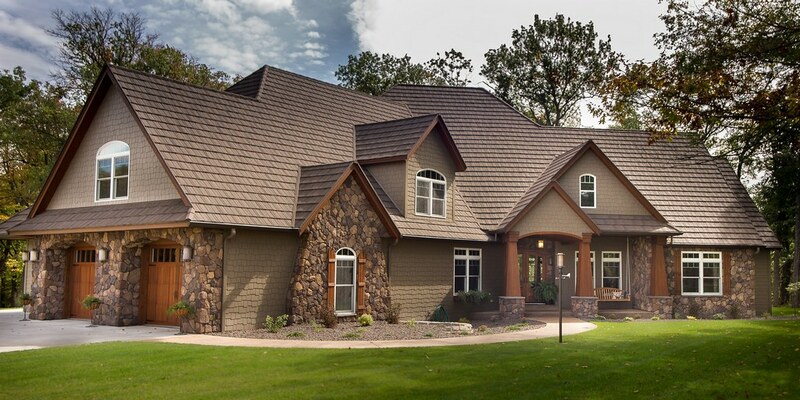 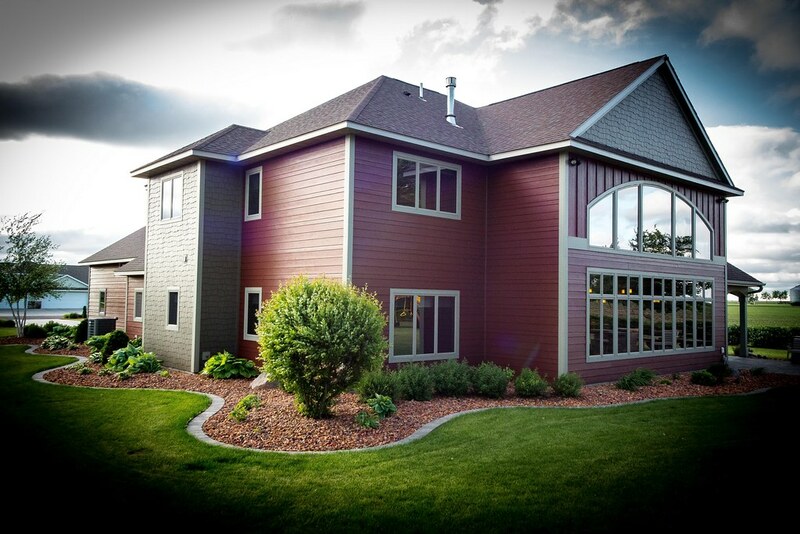 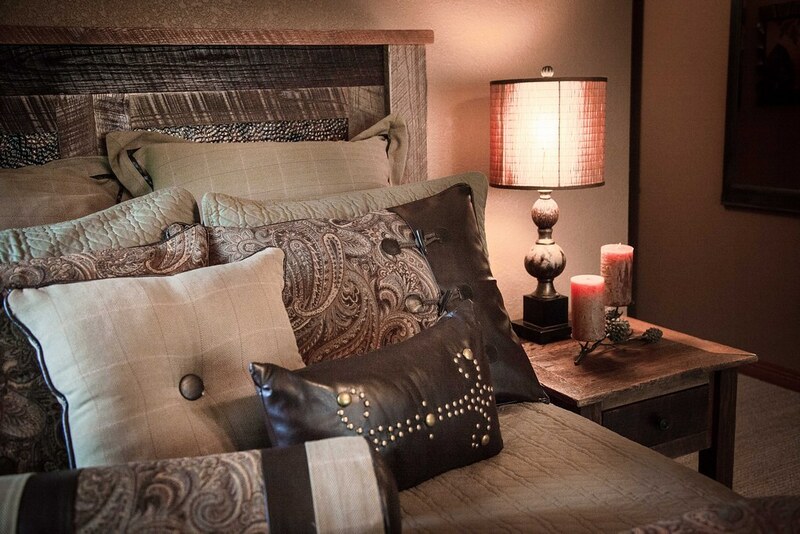 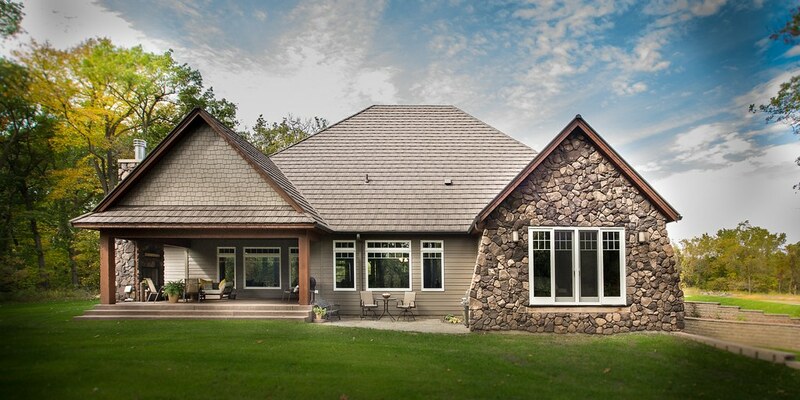 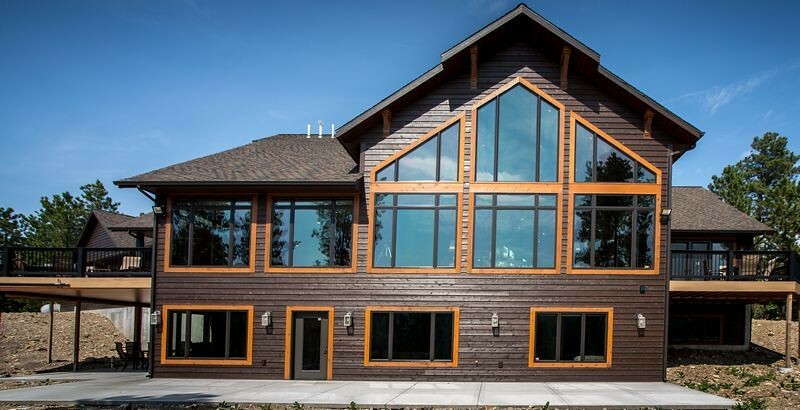 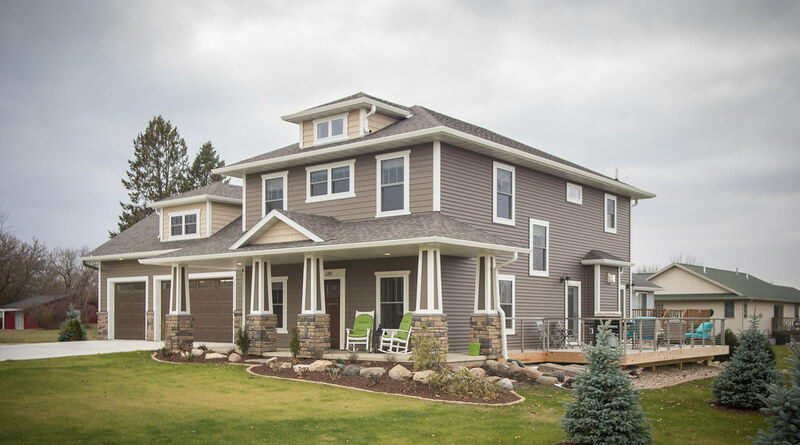 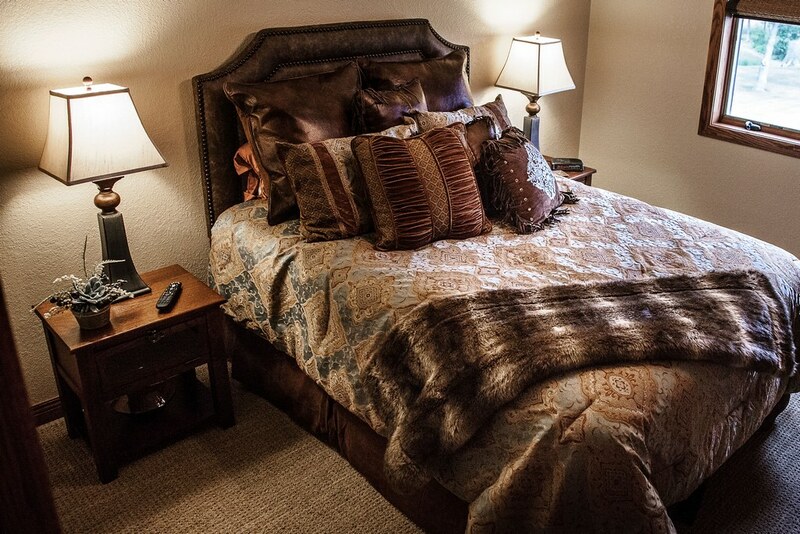 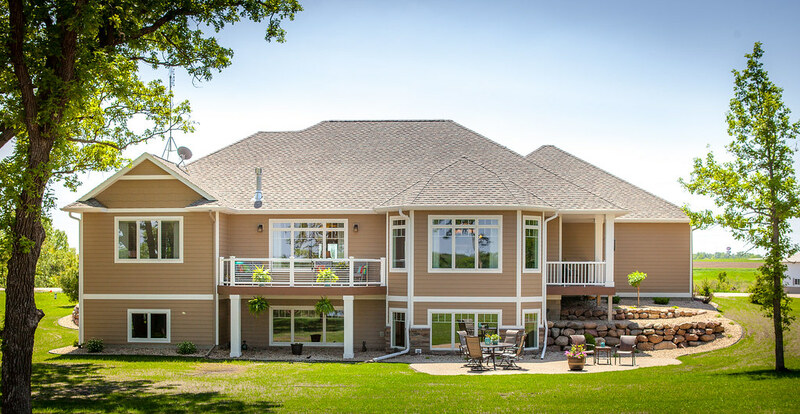 Situated in the black hills of South Dakota, this Nordaas American Home has the capacity to sleep more than 22! 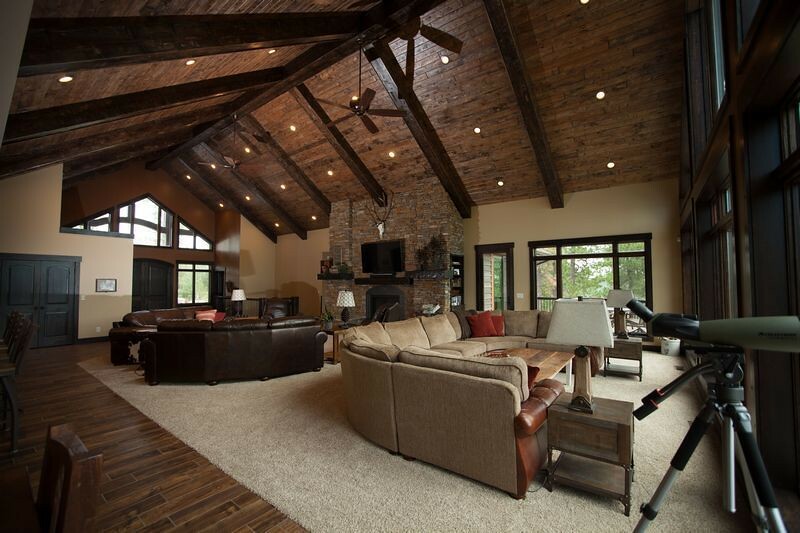 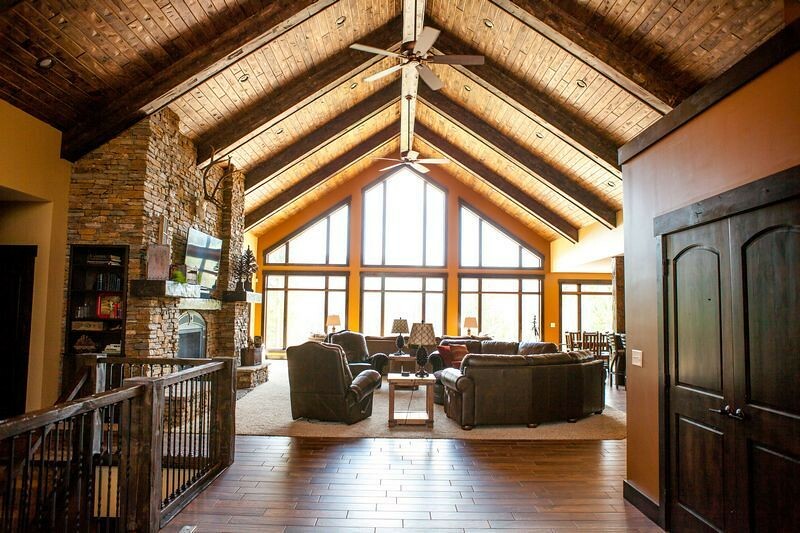 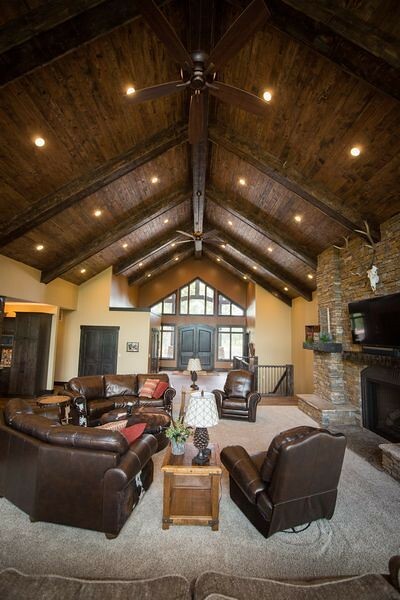 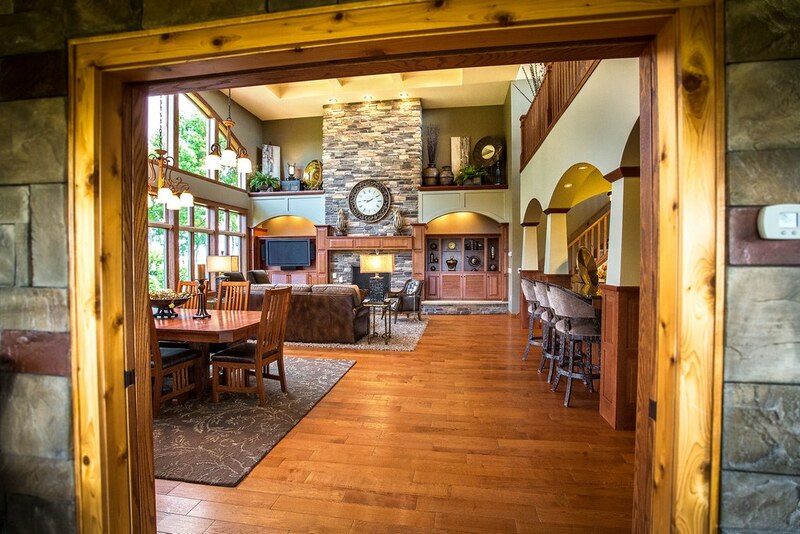 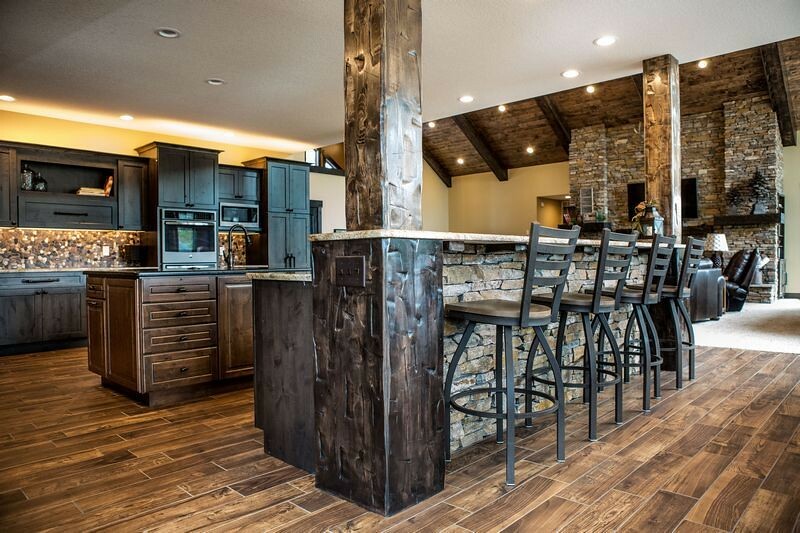 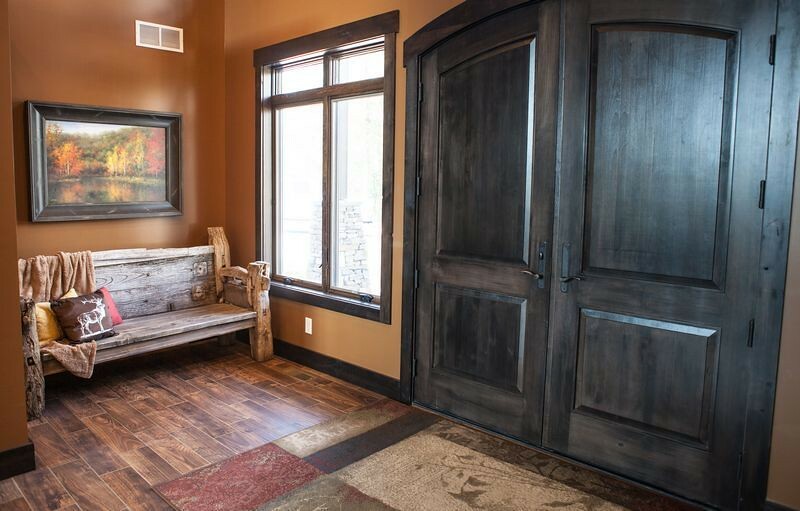 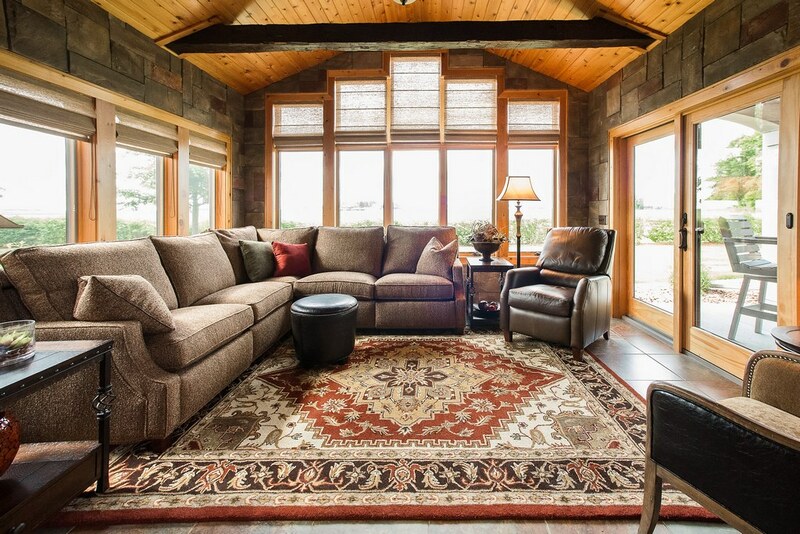 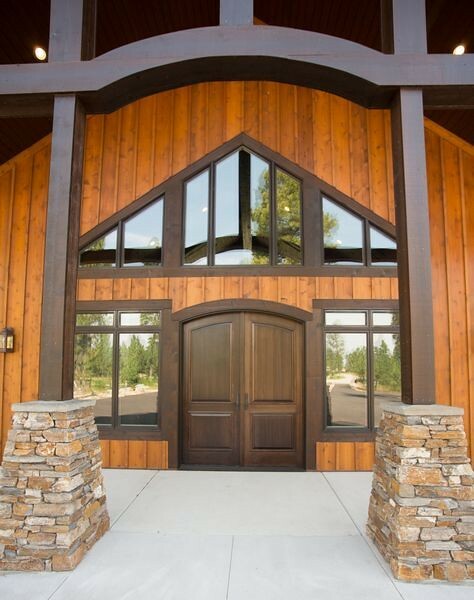 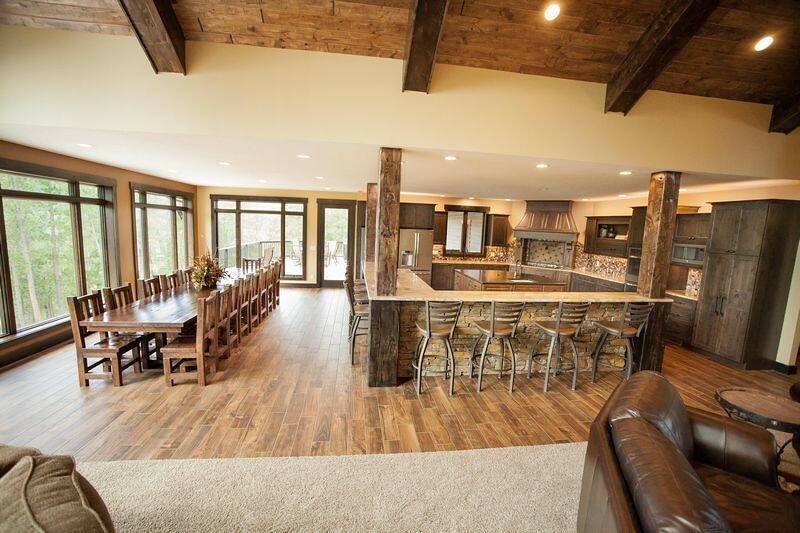 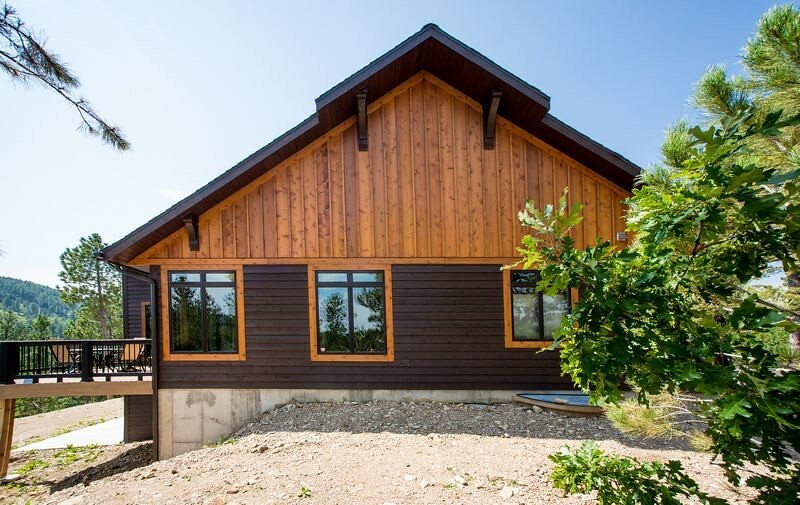 The location compliments the lodge style that this home employs, featuring two story vaulted great room with hand hewn timbers and a real stone fireplace that will leave you in awe! 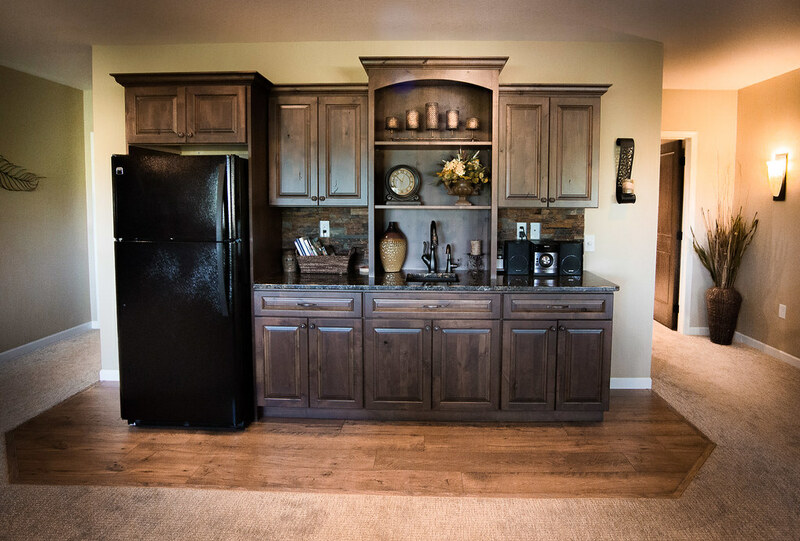 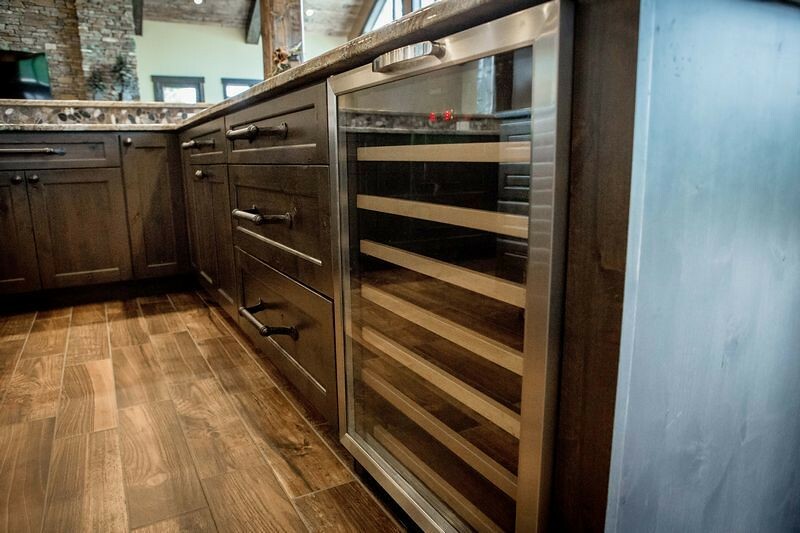 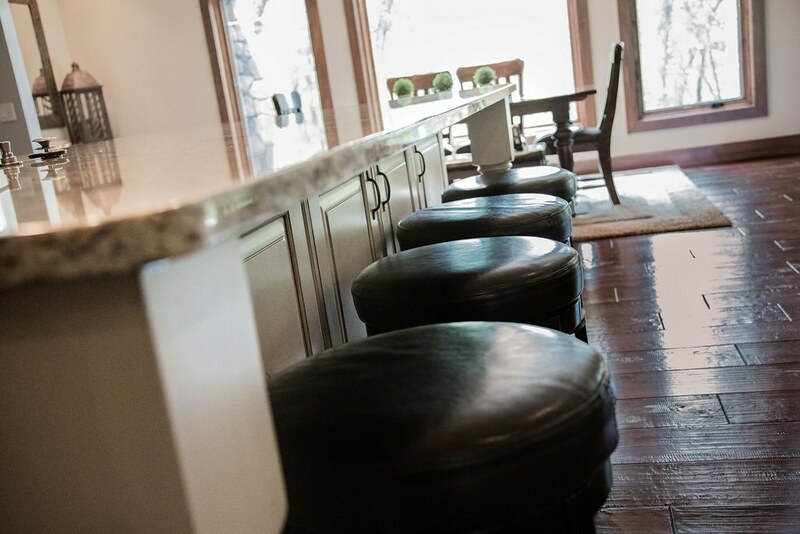 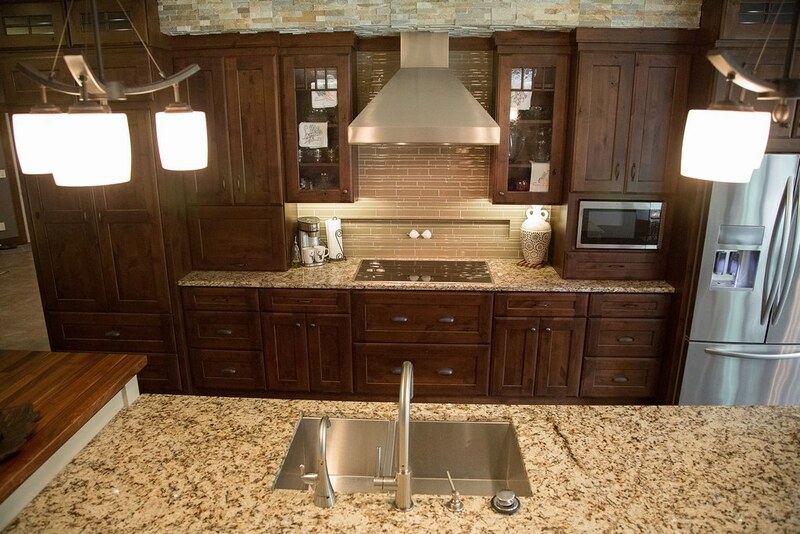 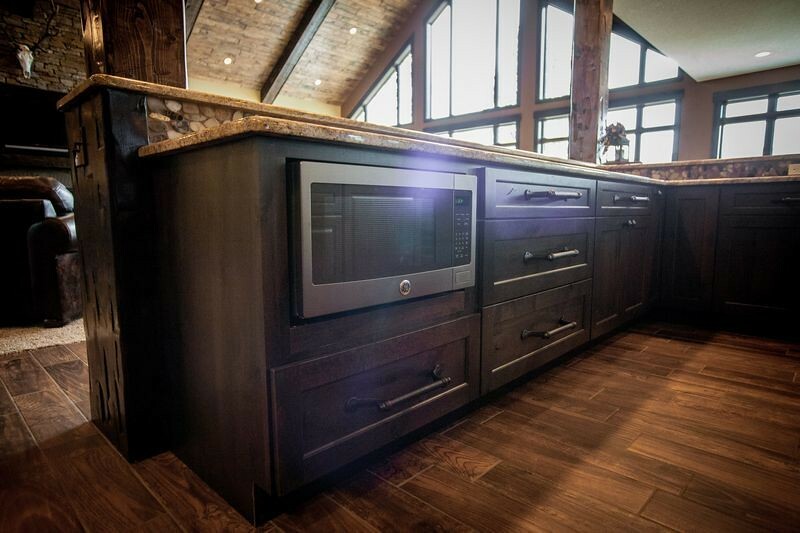 The chefs kitchen features two fridges, two dishwashers, and carries the rustic charm of the west. 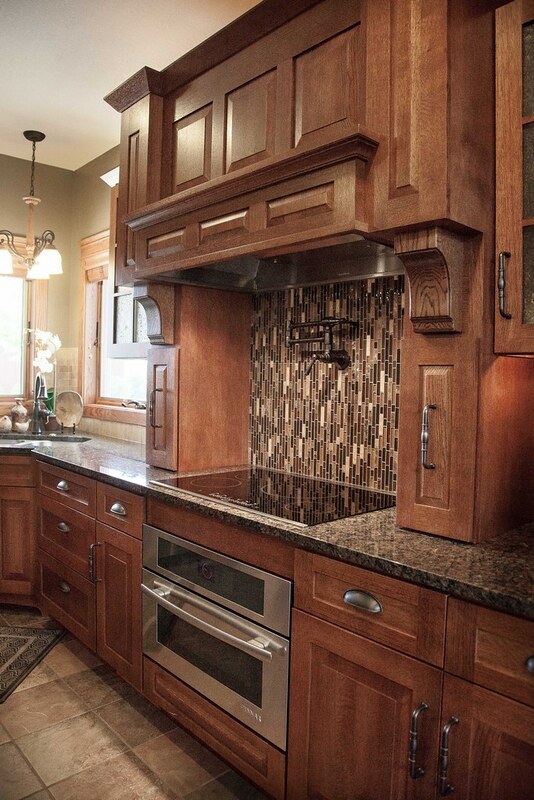 Nordaas' designers spared no detail on this one-of-a-kind beauty.